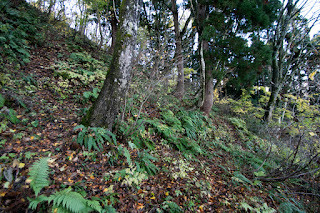 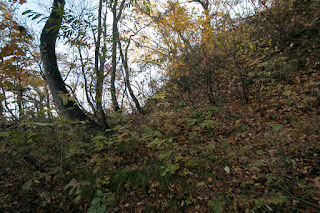 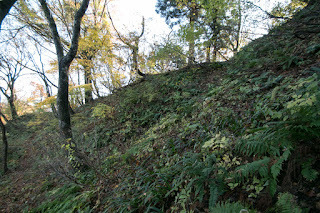 Nechi castle (根知城) is built over the north half of Shiroyama mountain, one of about 400 meter height from hillside at the meeting point of Hime-kawa river and Nechi-kawa river, about 10 kilometer south of current Itoigawa city. 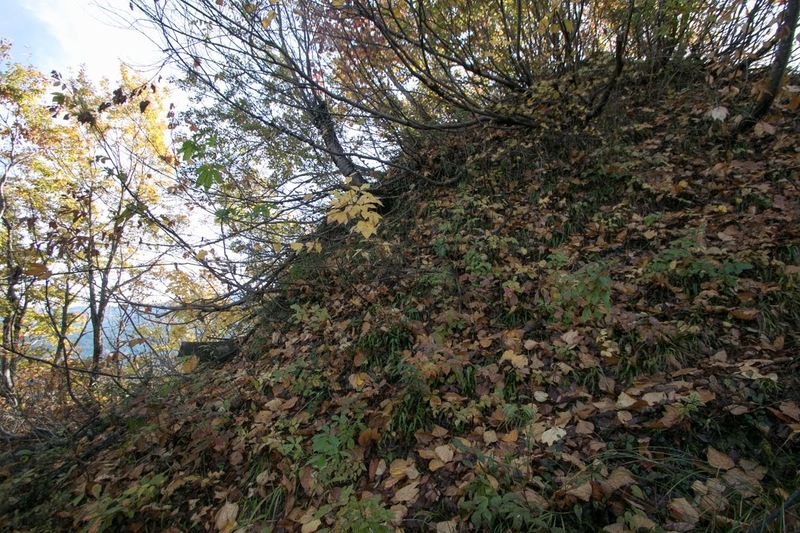 Castle occupies north part of main ridge of the mountain prolongs over 1 kilometer toward north, from hillside to half length and two third height. 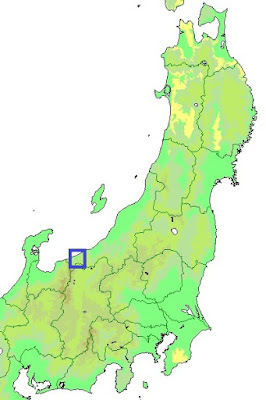 Itoigawa area is a northwestern edge of Fossa Magna, a great Graben area which divides Honshu mainland into eastern half and western half. 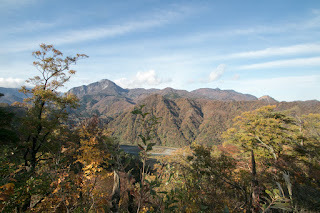 Western edge of this area is a curved line called as Itoigawa-Shizuoka Tectonics line, which is seen as a line of valley prolongs eastern edge of Hida-mountains from Itoigawa to Lake Suwako, contrary to its south half which does not show clear geographical line. 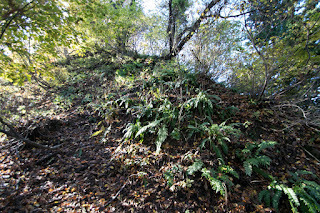 Salt is indispensable to keep lives for human beings, thus historically salt has been an imperative trade items at many civilization. 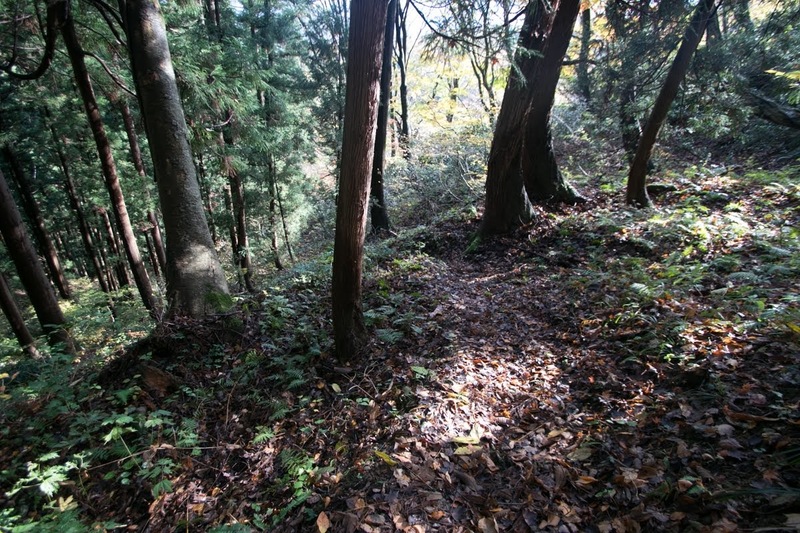 In Japan, because it is wholly surrounded by ocean, sea salt is abundant but there is no rock salt because of its rainy climate. Thus acquisition of sales had been critical to inland area, especially for those of Shinano province (Nagano prefecture) as it is far from sea and surrounded by tall mountains. 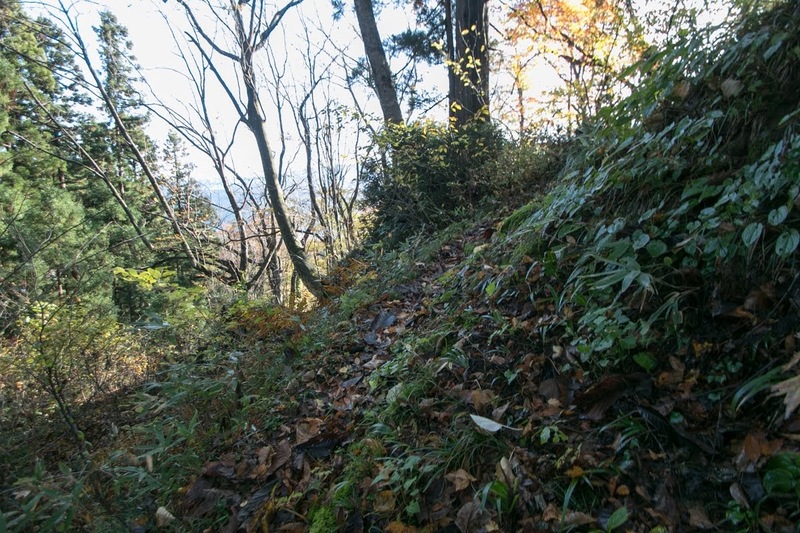 Moreover, inland area of Shinano province is covered by heavy snow in winter season, thus residents had to keep their foods as preservative foods such as pickles or Miso, which are made with salt. Therefore, salt was imported to Shinano province from surrounding coast provinces using several mountainous roads, which were all called as salt road. 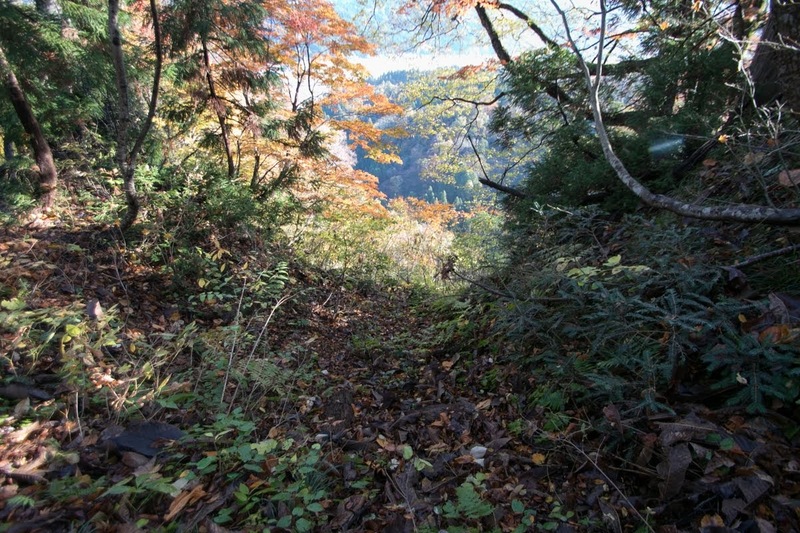 Among this, Chikuni Kaido road which starts from Itoigawa city and runs along with Hime-kawa river had been used a salt road to current Matsumoto basin. 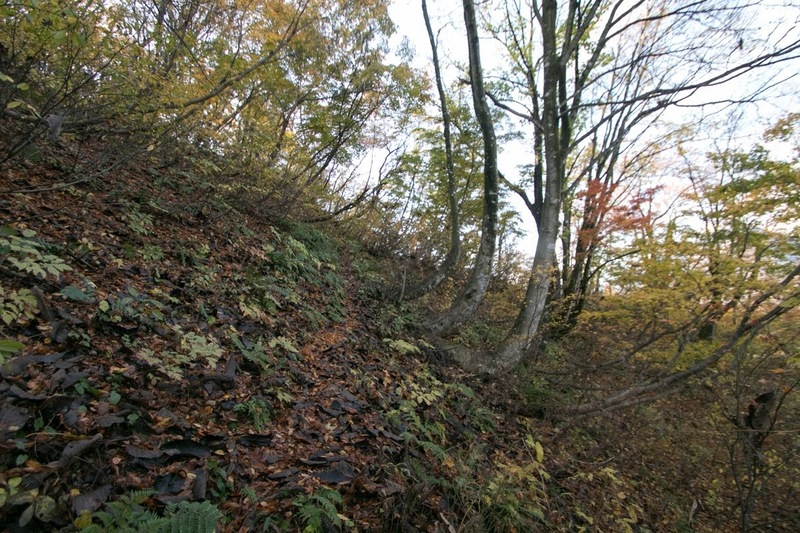 It was a tough mountain road passed desolated areas, but surely closer compared with other salt roads from Mikawa province (eastern half of Aichi prefecture) or Totomi province (western part of Shizuoka prefecture). 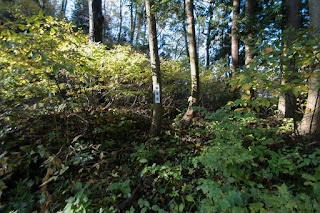 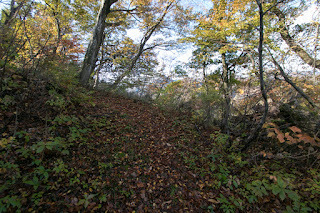 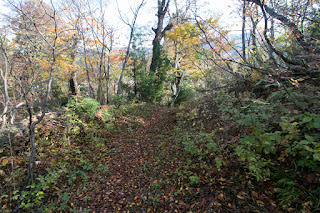 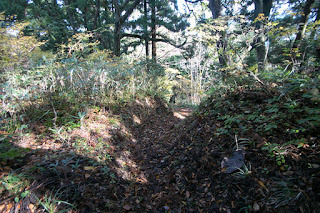 Nechi area was an important posting town of this Chikuni Kaido road. 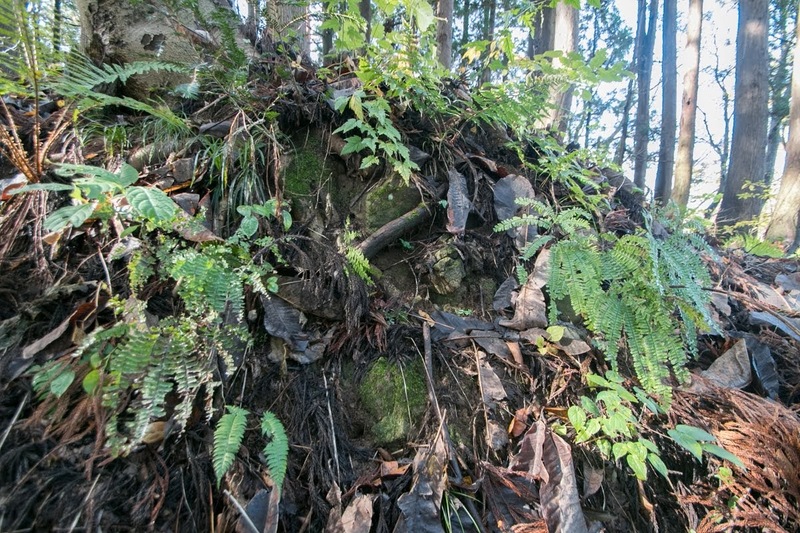 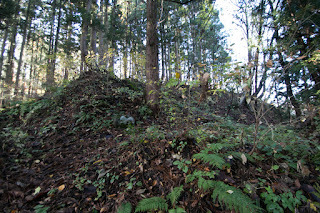 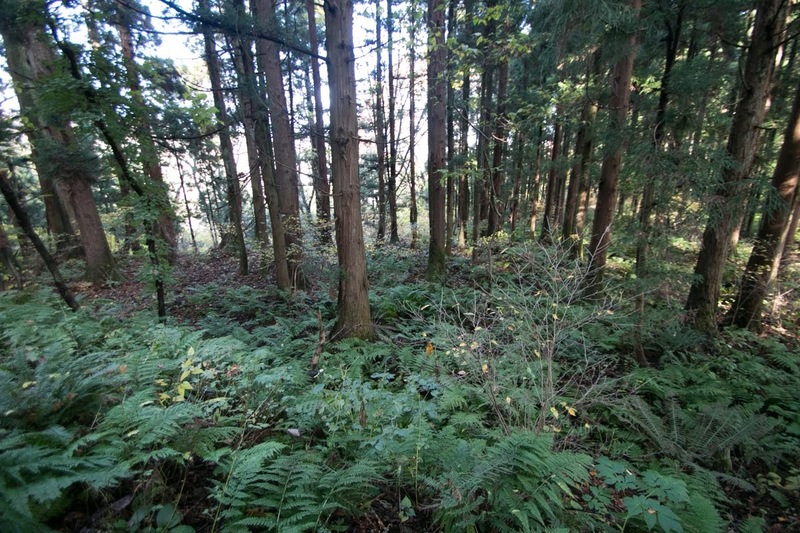 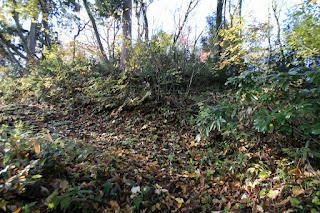 The origin of Nechi castle is not clear along with local lord of Nechi area, as it existed at the western border of Echigo province (Niigata prefecture), and Nishina clan which held Azumino area at the opposite of Chikuni Kaido road did not have a power to intrude into Echigo province. 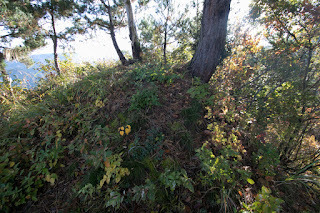 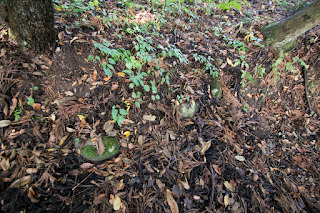 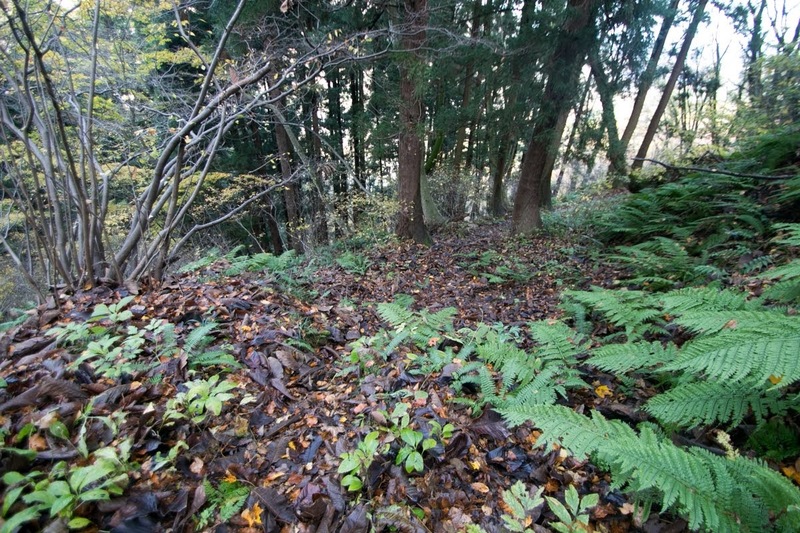 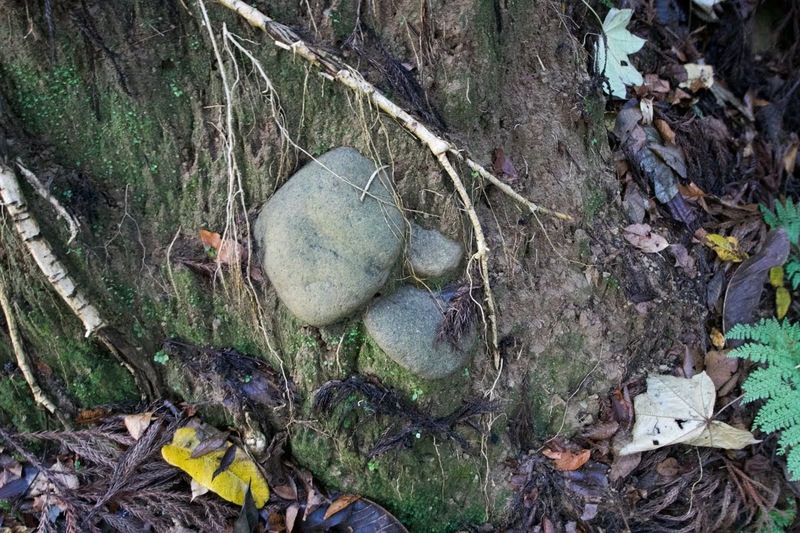 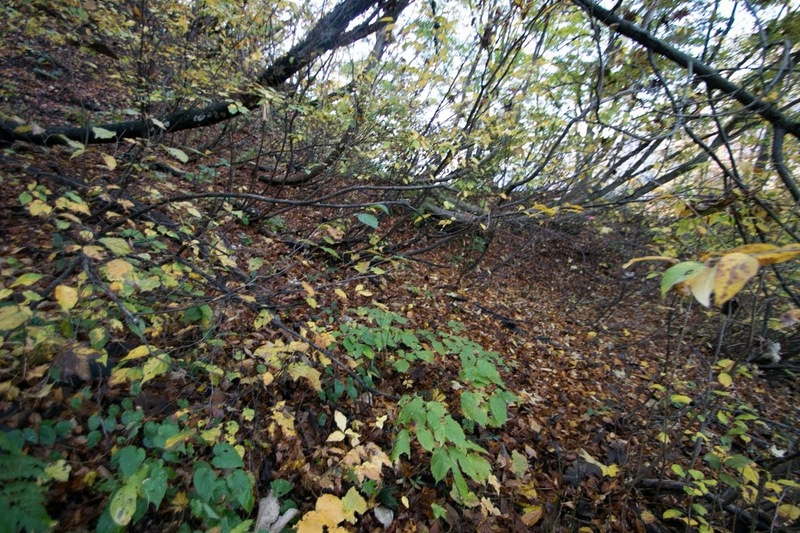 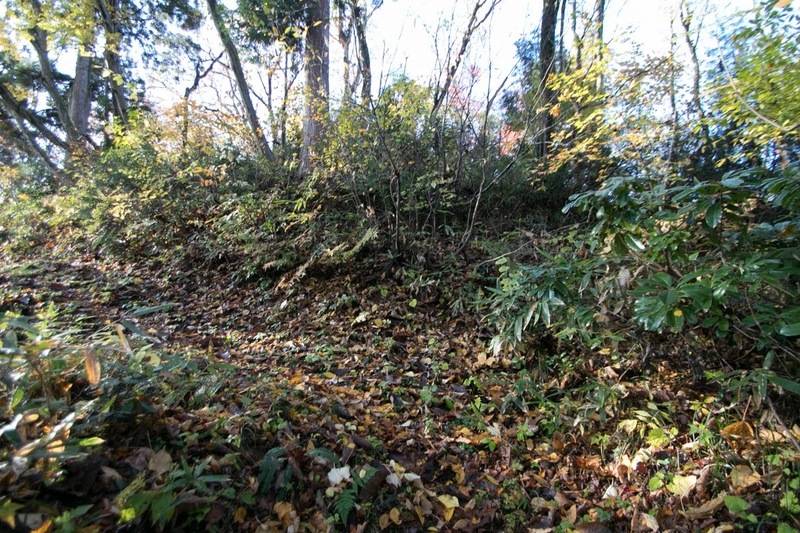 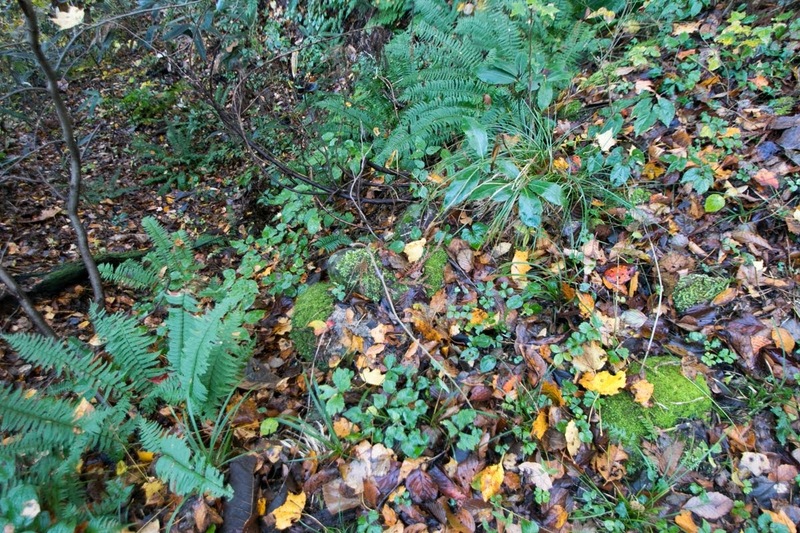 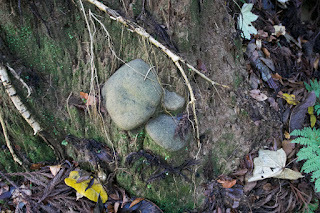 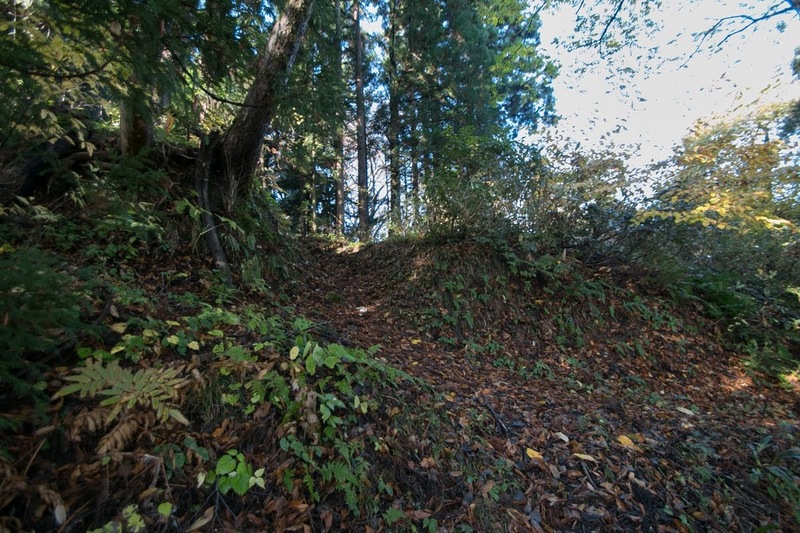 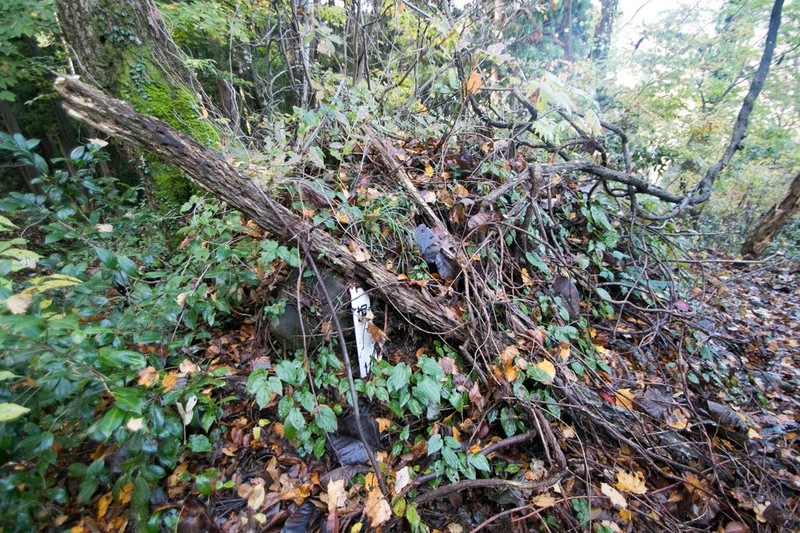 But considering its location there might be some fort at castle site in 15th century. 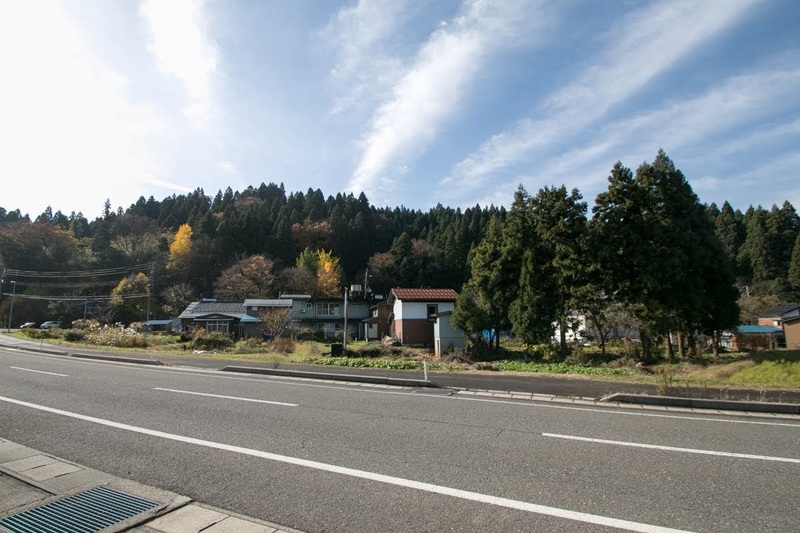 Since the beginning of 16th century, Nagao clan which was a deputy governor of Echigo province and held authority of the province started to expand into Ecchu province (Toyama prefecture) ahead of Itoigawa area. 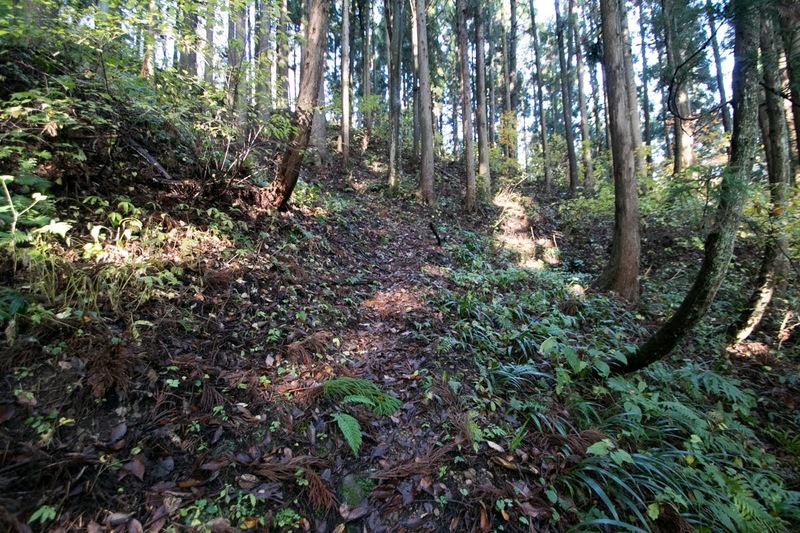 Eastern part of Ecchu province became virtual territory of Nagao clan, thus Itoigawa area and Nechi area increased its importance then might be directly managed by Nagao clan. 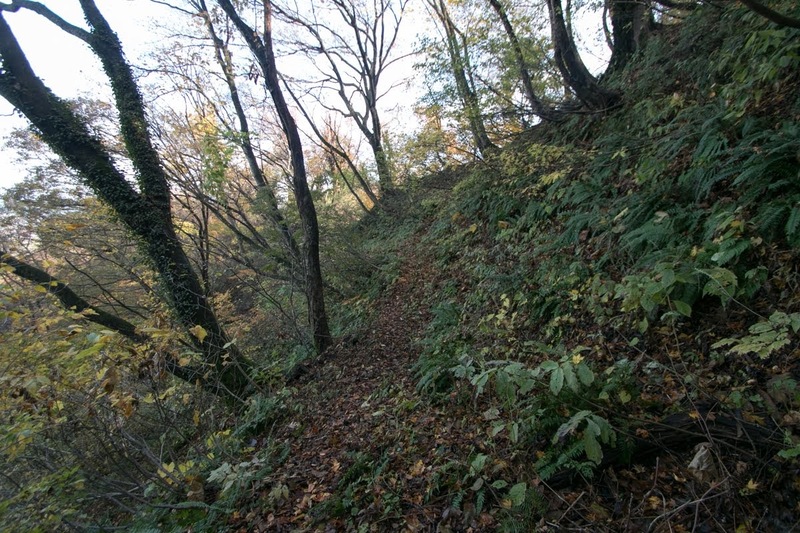 By the middle of 16th century, the situation surrounded Nechi castle had significantly changed again. At Echigo province, Tamekage Nagao (1486-1543) surpassed its master Uesugi clan and virtually became the governor of the province, and his son Kagetora Nagao (1530-1578, later Kenshin Uesugi) who controlled unstable situation after the death of Tamekage became young leader of Echigo province. 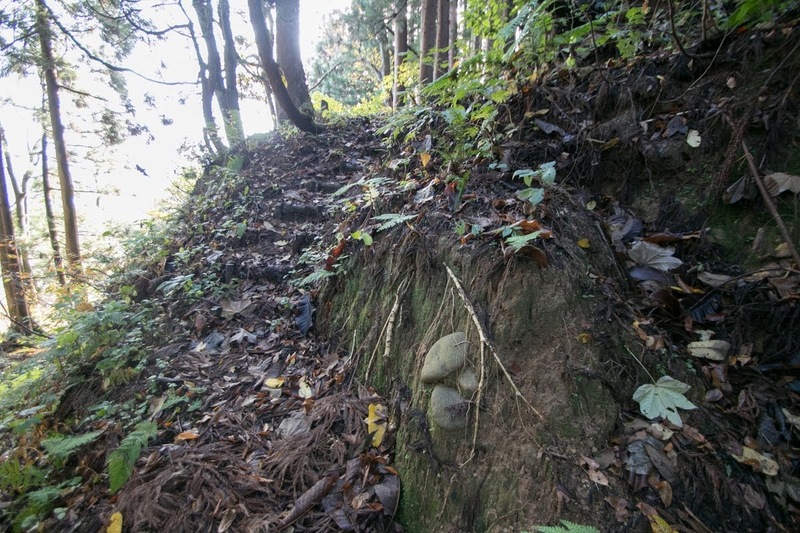 On the other hand, Shingen Takeda (1521-1573), the warlord of Kai province (Yamanashi prefecture), aggressively expanded into Shinano province. 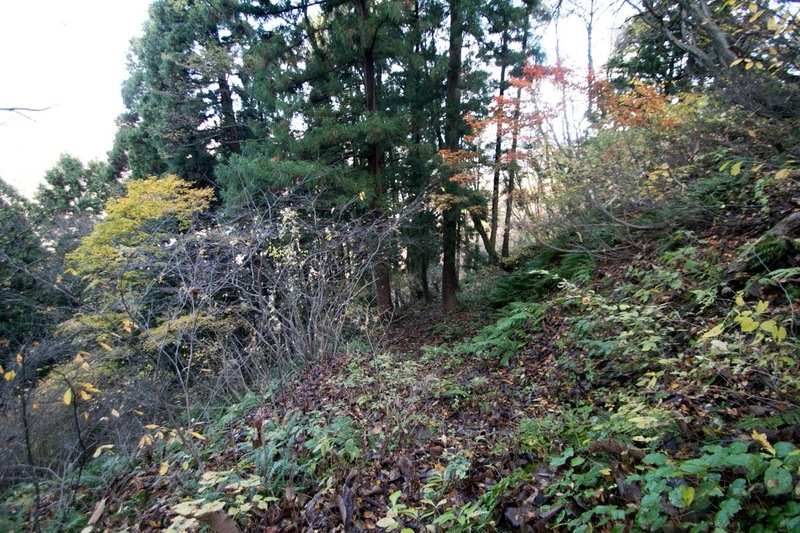 Shingen captured Suwa area and Ina area by 1550 then deprived Matsumoto area from its governor Ogasawara clan which was the lord of Hayashi castle (Nagano prefecture). 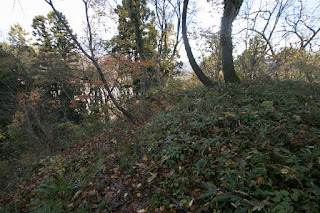 Next Shingen suppressed Yoshikiyo Murakami (1501-1573), the strong local lord of Katsurao castle (Nagano prefecture) in the middle part of the province. Yoshikiyo broke Shingen two times but finally lost his territory before the plot of Shingen, then escaped to Kenshin and asked his assistance for recovery. At the same time, Nishina clan which was the traditional lord of Azumino area followed to Shingen after the fall of Ogasawara clan. 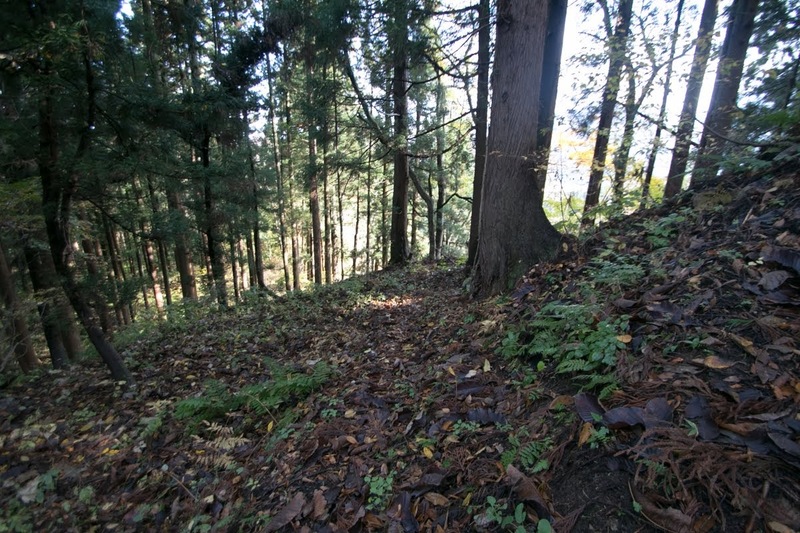 Later Shingen killed the leader of Nishina clan, and then sent his son Morinobu Nishina (1557-1582) as the leader of Nishina clan to directly control them. 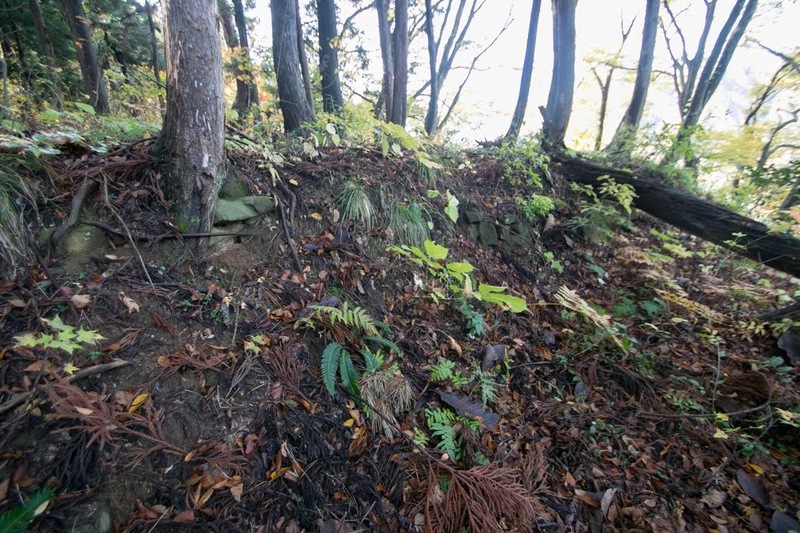 Shingen seized middle part of Shinano province then aimed at north part of the province. 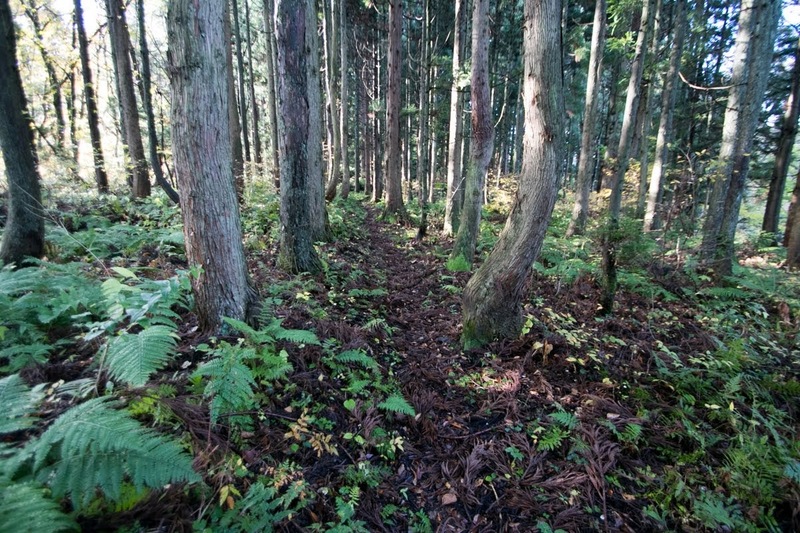 But north part of Shinano province was also critical to Kenshin Uesugi. Takanashi clan of Iiyama castle (Nagano prefecture) was a relative of Kenshin, and as Kasugayama castle (Niigata prefecture), the main base of Kenshin, was only 40 kilometer apart from the border, Kenshin had to keep current Nagano city area to obtain tactical depth between the border and main base. From 1553 to 1564, Shingen and Kenshin fought five times around Nagano basin. 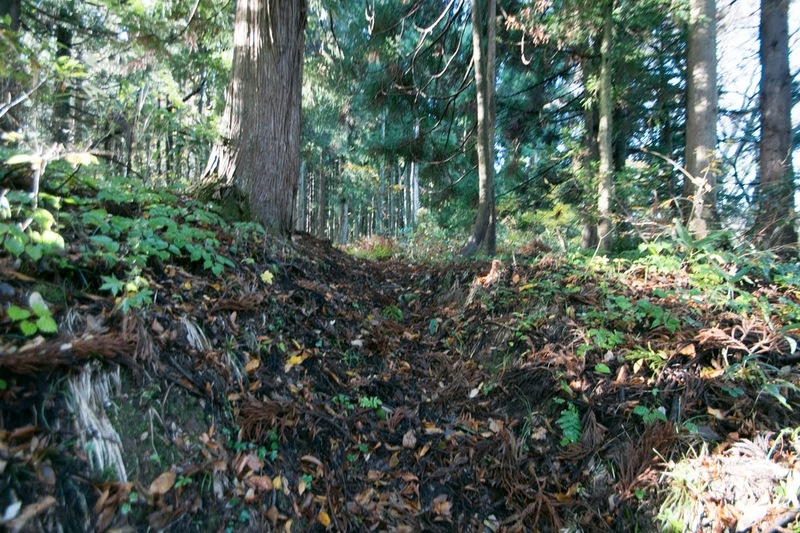 Shingen was inferior at direct battle, but utilizing the absence of Kenshin gradually expanded his territory using plots. 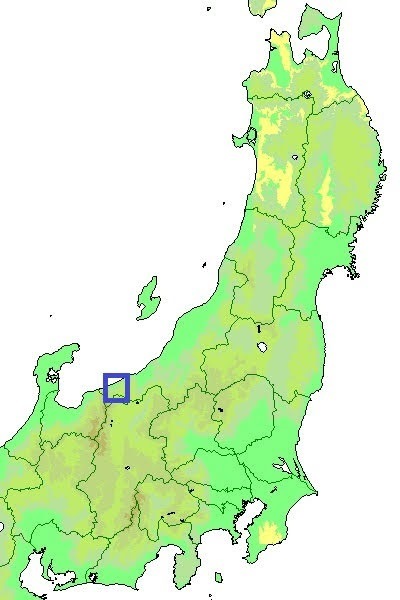 Finally Shingen seized current Nagano city area, but Kenshin blocked further expansion of Shingen to the border then the situation became fixed. 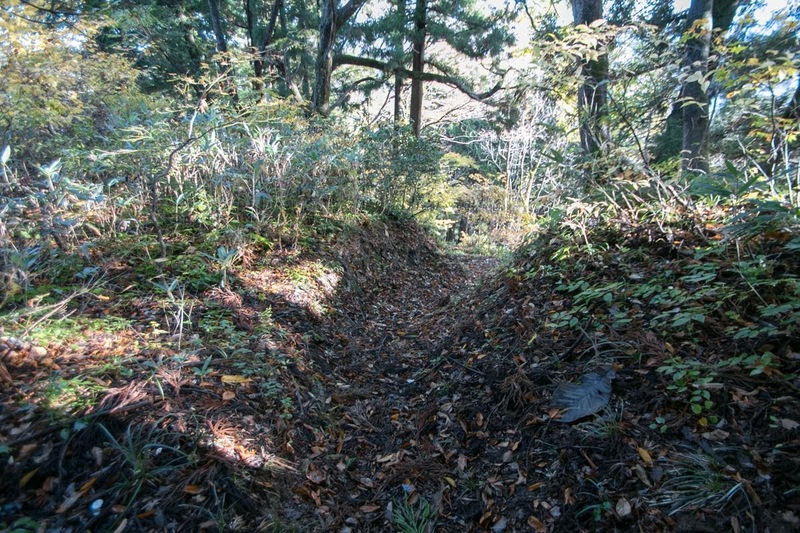 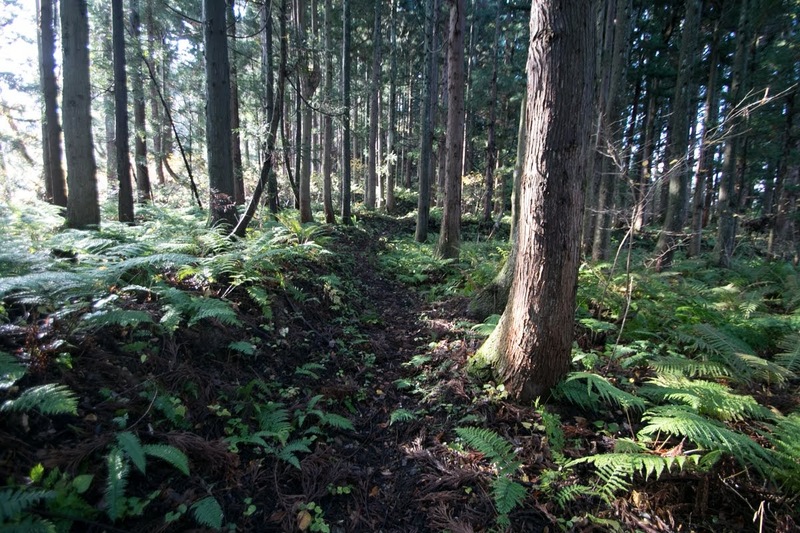 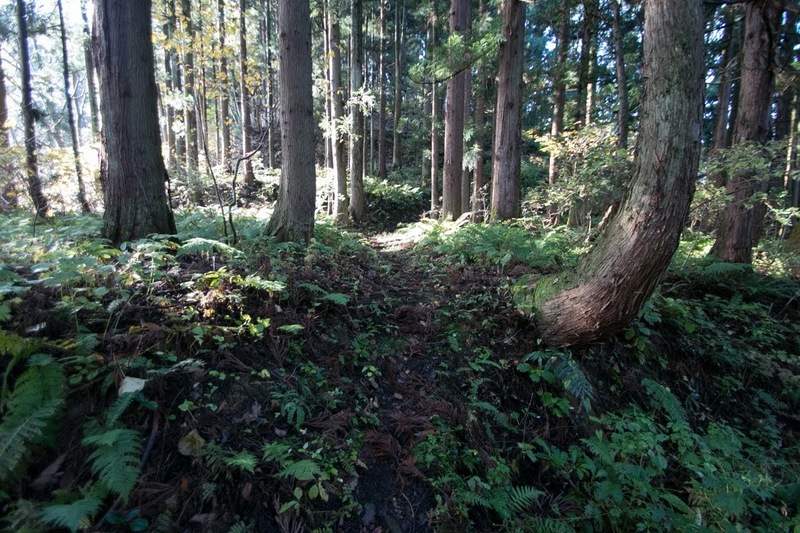 Among such situation, for Kenshin, there was a risk that Shingen sent detached army to Itoigawa area utilizing Chikuni Kaido road. 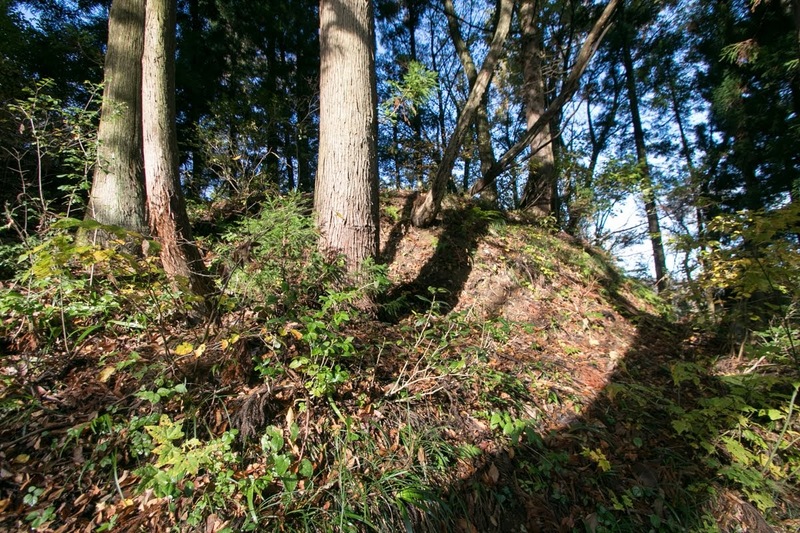 It was only 20 kilometer apart from border to Itoigawa area, and capturing Itoigawa area it became possible to attack Kasugayama castle from backside, or separate Echigo province and Ecchu province. Actually Shingen helped Tomohide Okuma (?-1582), former retainer of Kenshin but failed to rebel then moved to Ecchu province. 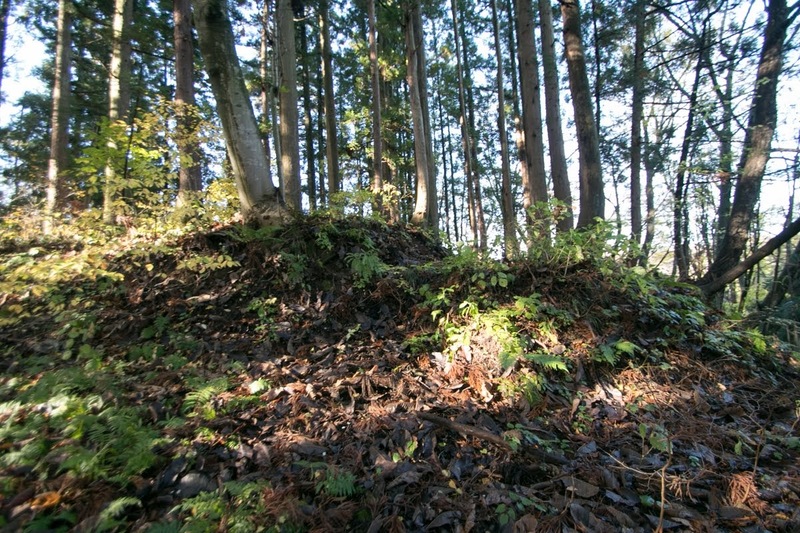 To cope with the threat from Shinano province, Kenshin might have expanded Nechi castle to protect the border. As Nechi castle was only one castle at the border, the size of the castle became large. Nechi castle roughly consist of upper half and lower half. Central area at the top of upper half is a rectangular area of 40 meter long and 20 meter wide, which has a basement of watchtower at its backside. 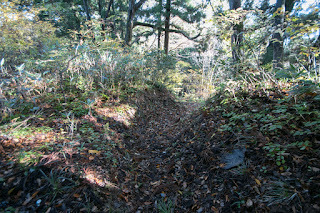 As backside of central area is connected to higher part of the mountain, combination of dry moats were built to protect this part. 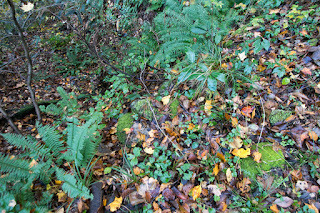 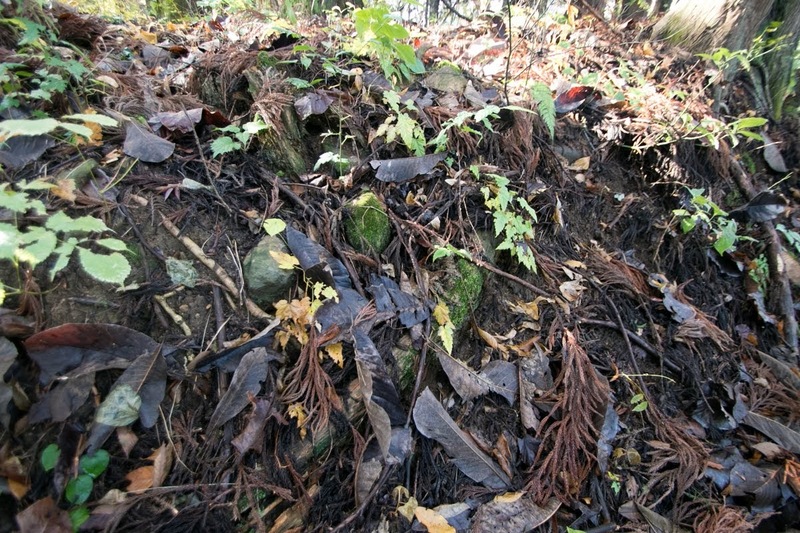 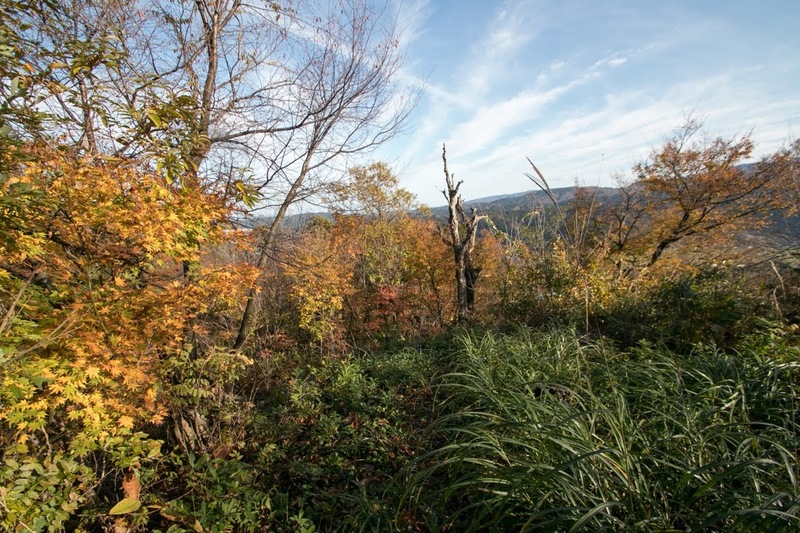 Layer of terraces covers northwest slope from central area. 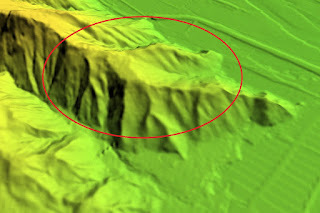 Lower part is a triangle shaped group of terraces built at diverging point of two ridges, including the ground of residence of the lord, and training area. 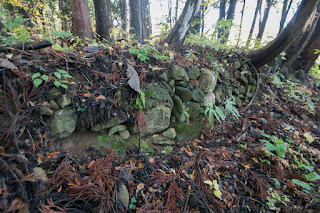 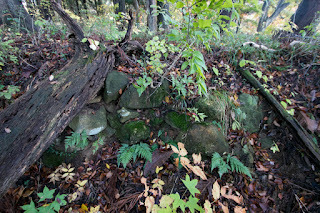 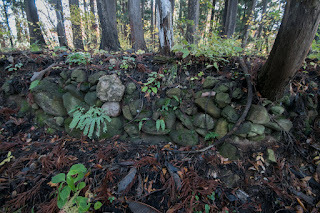 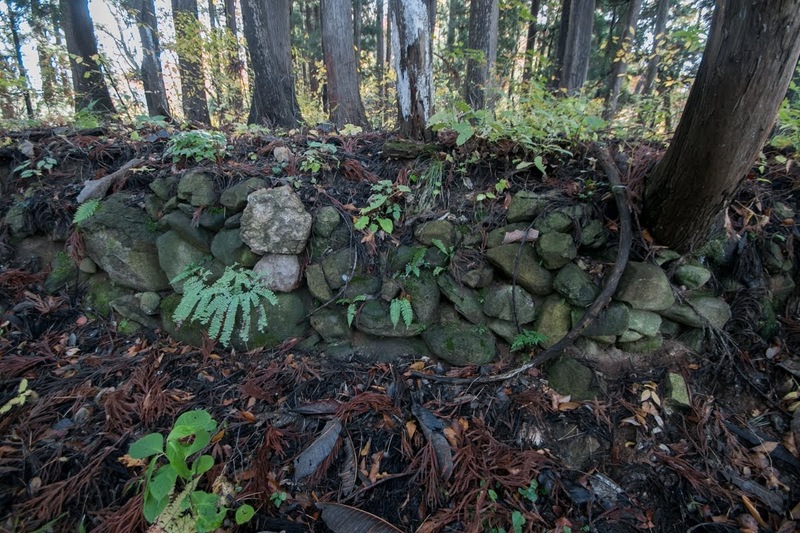 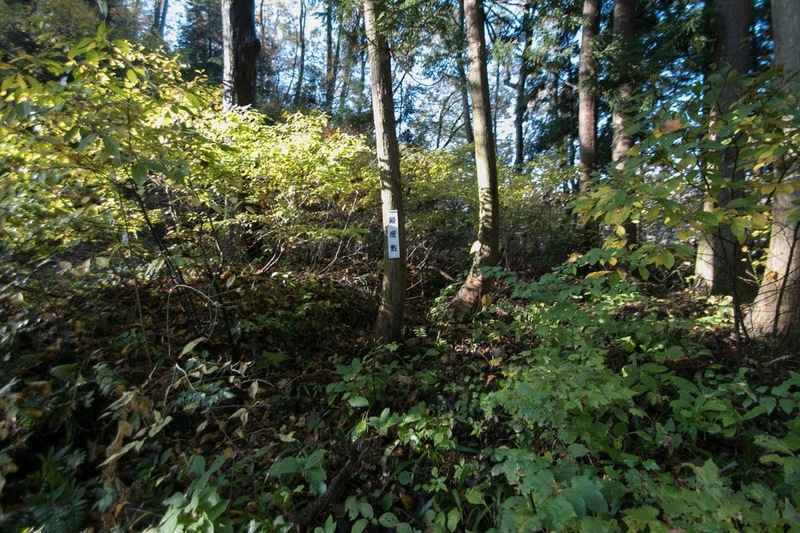 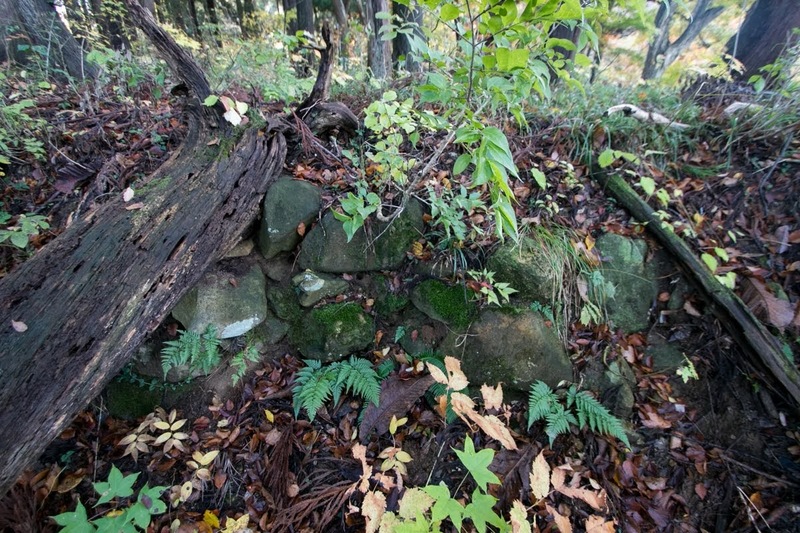 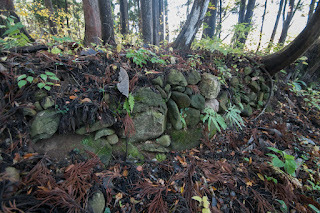 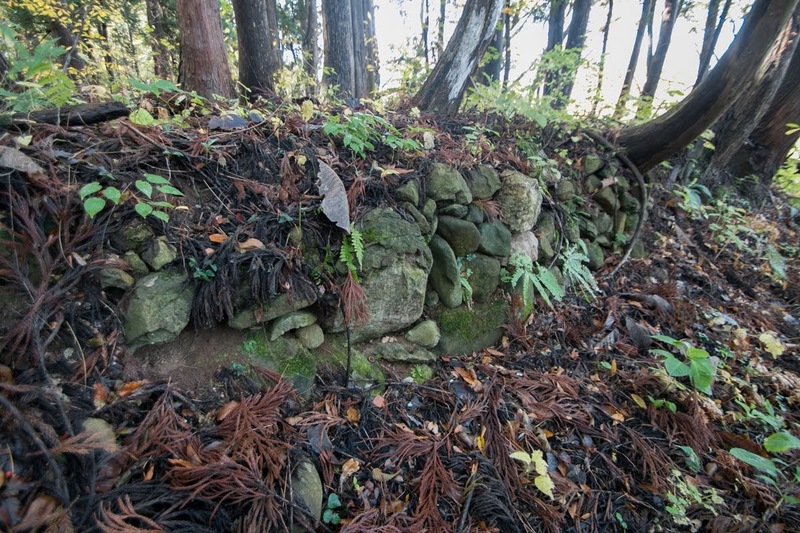 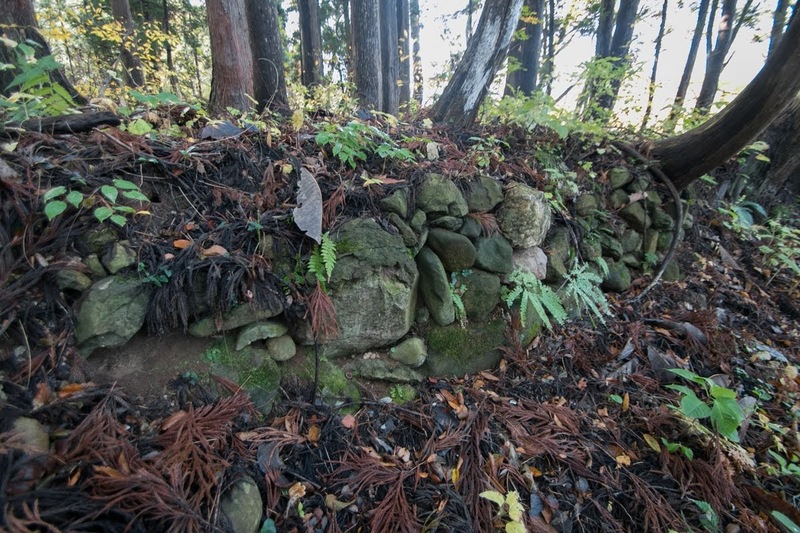 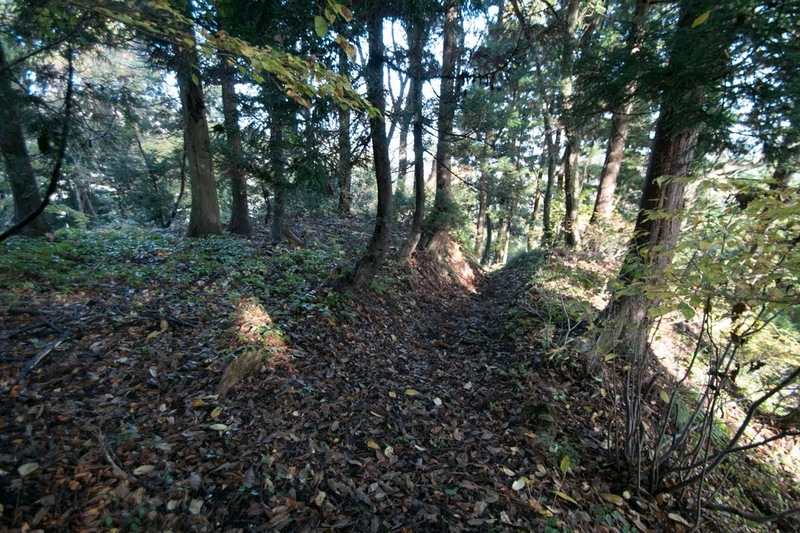 The former is a square rectangular shaped one of about 60 meter long and 40 meter wide, which has a line of low height stone wall at its north line. 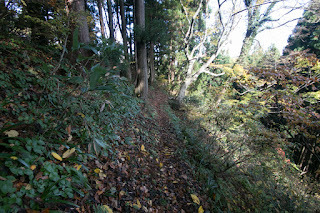 The latter is a complex shaped one of about 300 meter long and 100 meter width. 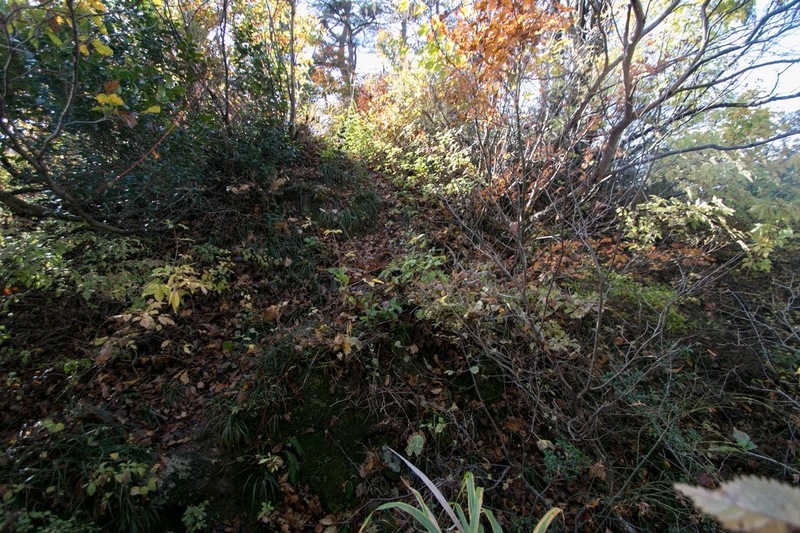 The northeastern edge of the area is protected by clay bridge between two dry moats, and line of stone walls. 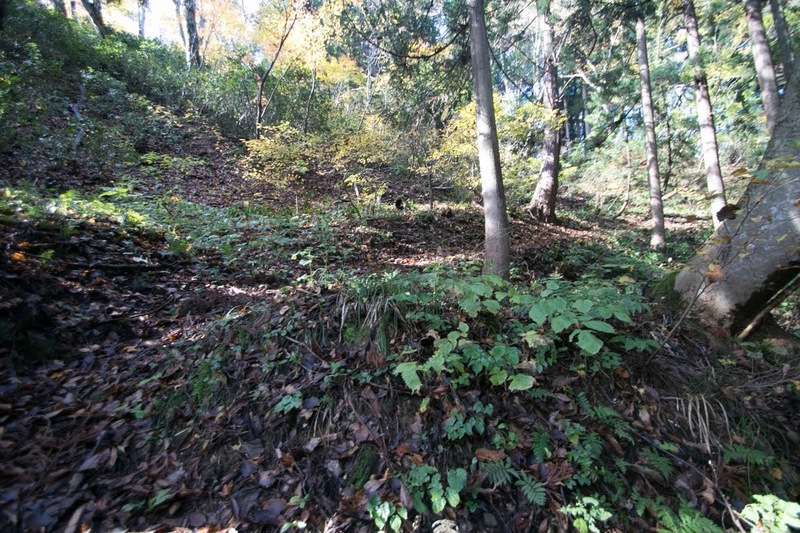 Total size of the castle is about 800 meter long and 400 meter wide, and its size and over 40 terraces shows importance of this castle and border to Uesugi clan. Kenshin placed Yoshikiyo Murakami moved to Echigo province as the commander of Nechi castle, expecting hesitation of Nishina clan to attack former colleague, and interference to Shinano province. 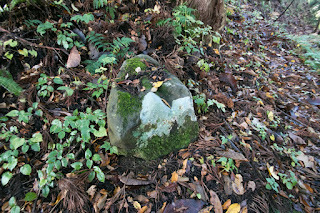 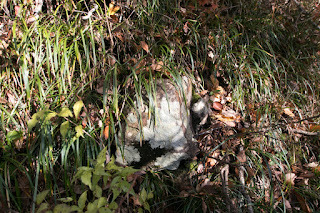 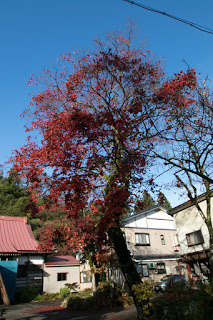 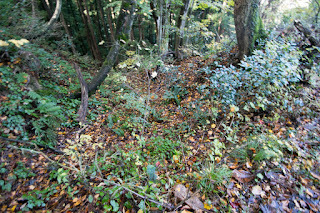 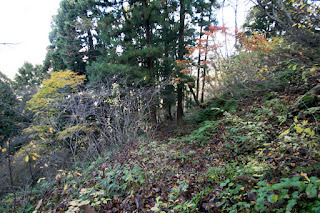 But situation had not changed thus Yoshikiyo just stayed at Nechi castle. 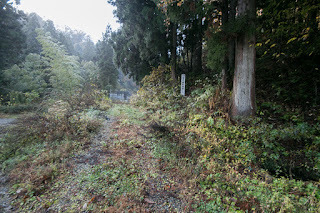 In 1567, Shingen broke the triangle treaty with Hojo clan which was the lord of Sagami province (Kanagawa prefecture) and Imagawa clan of Suruga province (middle part of Shizuoka prefecture), then intruded into Imagawa territory. To cope with Shingen’s action, Hojo clan and Imagawa clan both had coastal area stopped export of salt to Takeda territory. 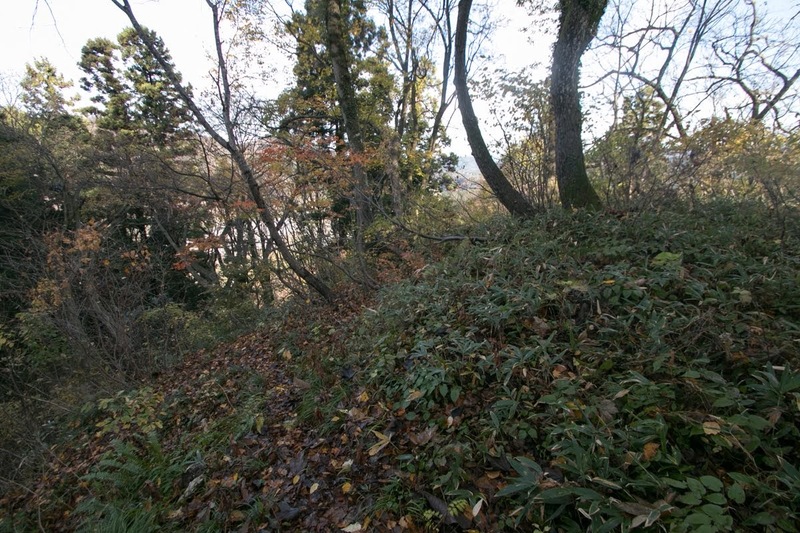 At this time if Kenshin also stopped the export of salt to Takeda territory, it might become severe situation for Shingen. 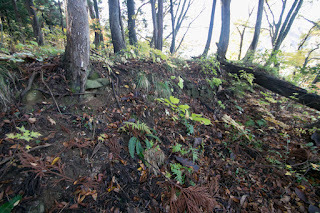 But it is said that Kenshin did not stop the trade of salt at Chikuni Kaido road, and this become the origin of proverb “giving salt to enemy”, support the enemy fell in tough situation. 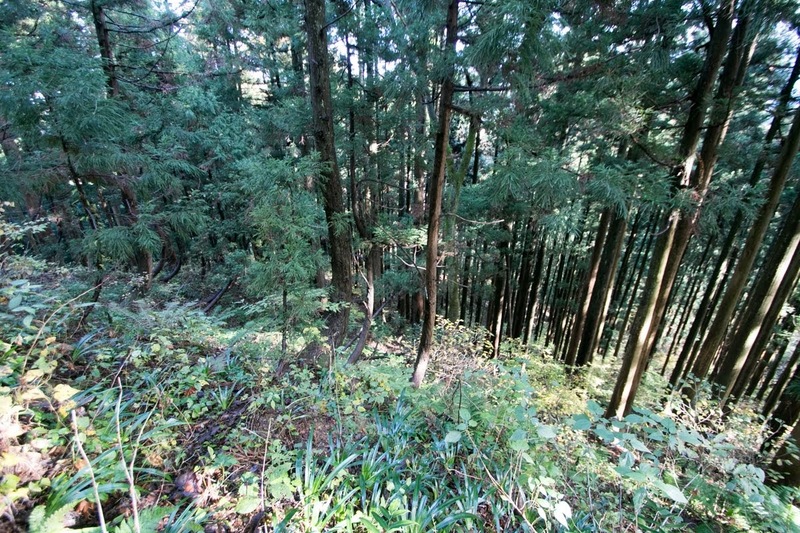 It is explained that this is from a chivalrous mind of Kenshin or just gaining profit. 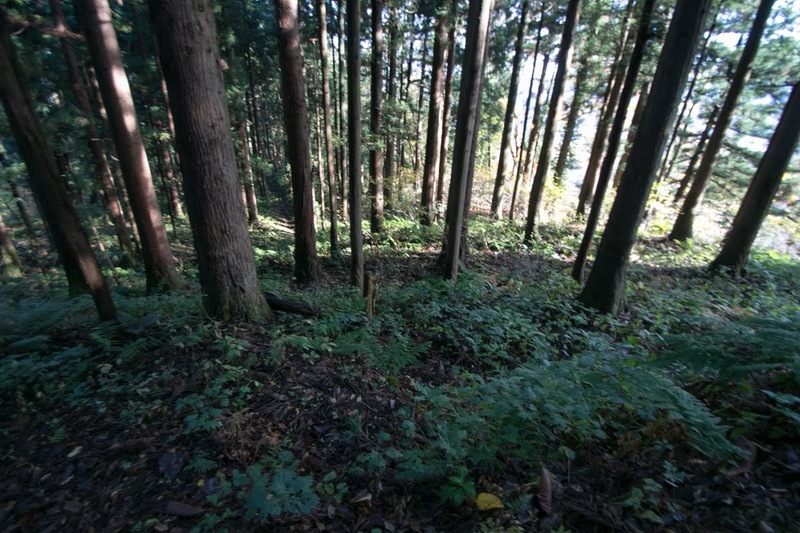 But Hojo clan was also a fatal enemy of Kenshin that deprived the territory in Kanto region, and break of Takeda clan and Hojo clan was favor for Kenshin. If Kenshin stopped the salt and Shingen stopped invasion to Imagawa clan, Takeda army might attack Uesugi territory again. Kenshin might admit the trade of salt for his own tactics. 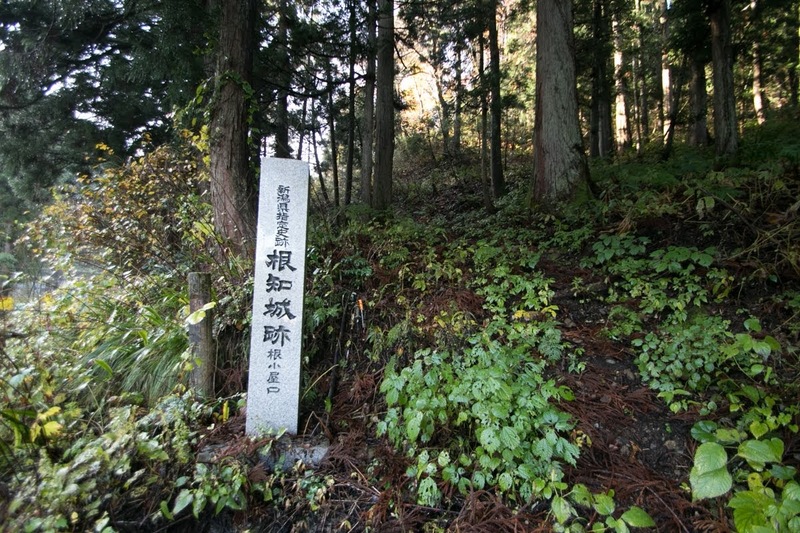 After the death of Kenshin in 1578, there arouse severe internal conflict named “Otate-no-ran” between two adopted son of Kenshin, Kagetora Uesugi (1554-1579) and Kagekatsu Uesugi (1556-1623). 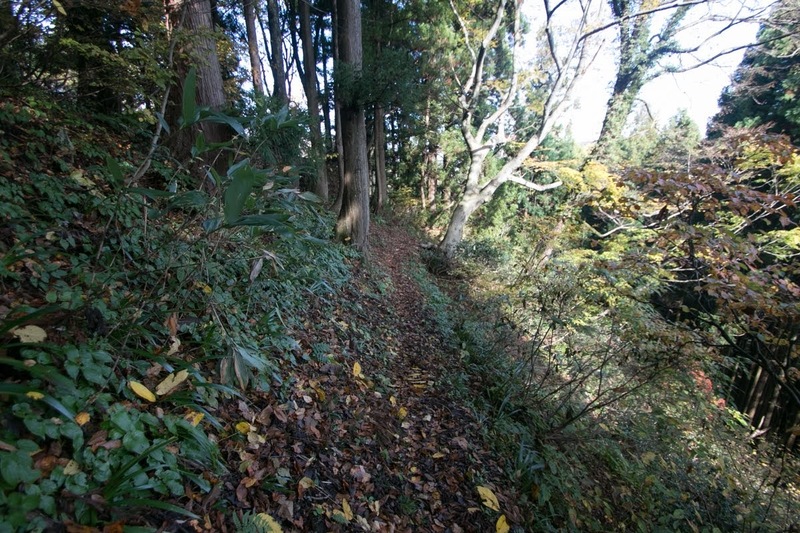 As Kegetora was a person from Hojo clan, Hojo clan supported Kagetora and requested Katsuyori Takeda (1546-1582), the successor of Shingen, to march toward Echigo province. 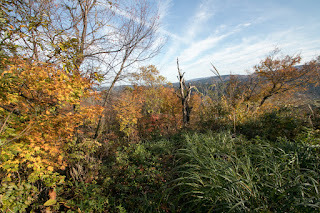 At this point, along with the territory of Kozuke province (Gunma prefecture), Nechi castle was handed to Takeda clan. At this point Takeda clan held Suruga province and could provide salt by themselves, but salt trade at Chikuni Kaido road was still attractive to Takeda clan. 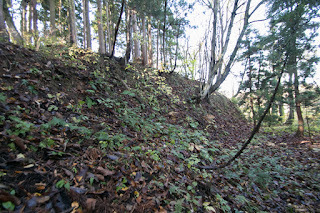 For Uesugi clan the loss of Nechi castle which connected Echigo province and Ecchu province was serious, but Uesugi army which faced the army of central ruler Nobunaga Oda (1534-1582) could turn the troop from Nechi castle to the front of Ecchu province. Additionally it might be intended to show the alliance with Takeda clan toward Oda army. 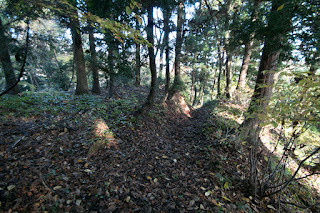 But in March 1582, Takeda clan collapsed before total attack of Oda army. 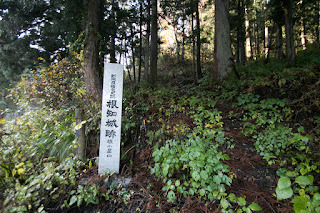 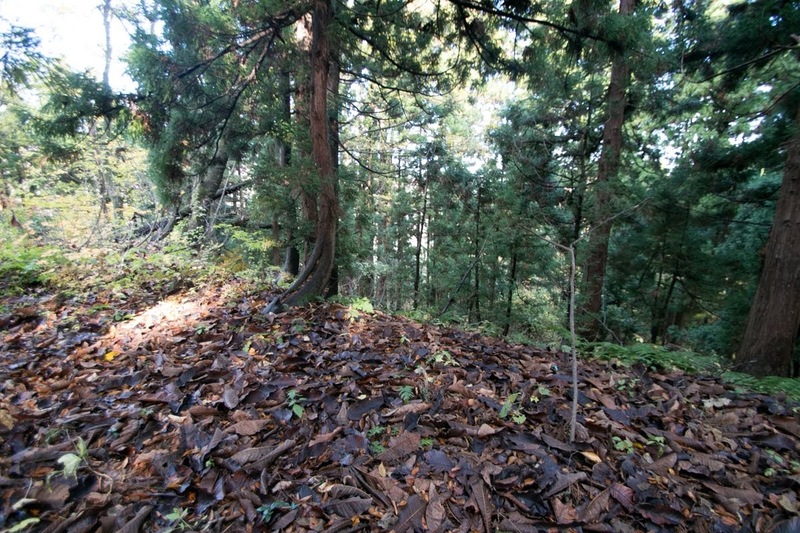 Morinobu Nishina died after desperate battle at Takato castle (Nagano prefecture), and Katsuyori also killed himself at Tenmokusan mountain. 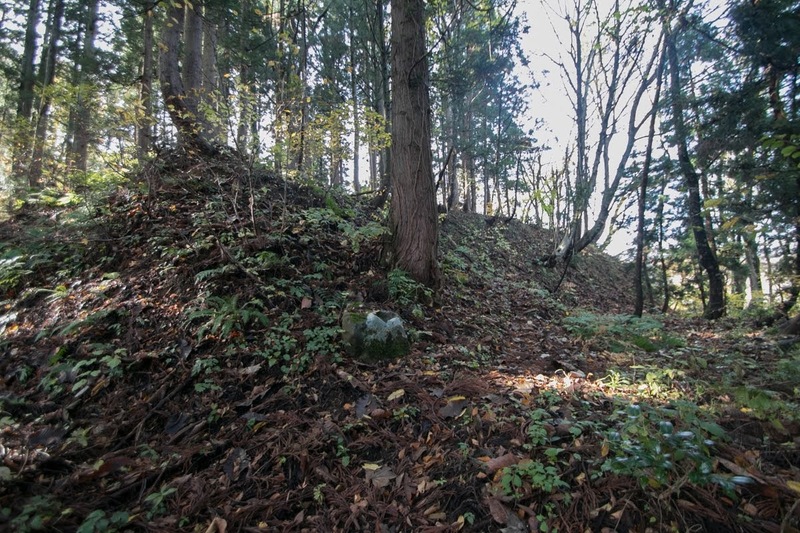 At this point Uesugi clan might recover Nechi castle. 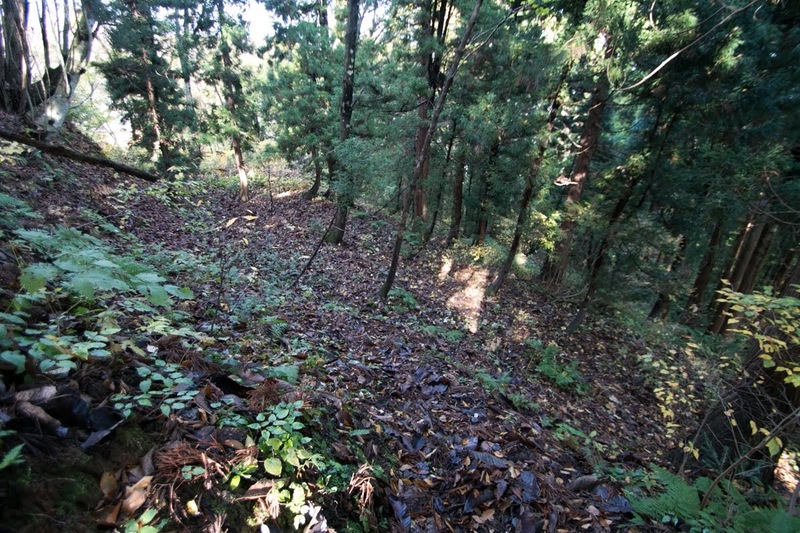 But next target of Oda army was Uesugi clan. 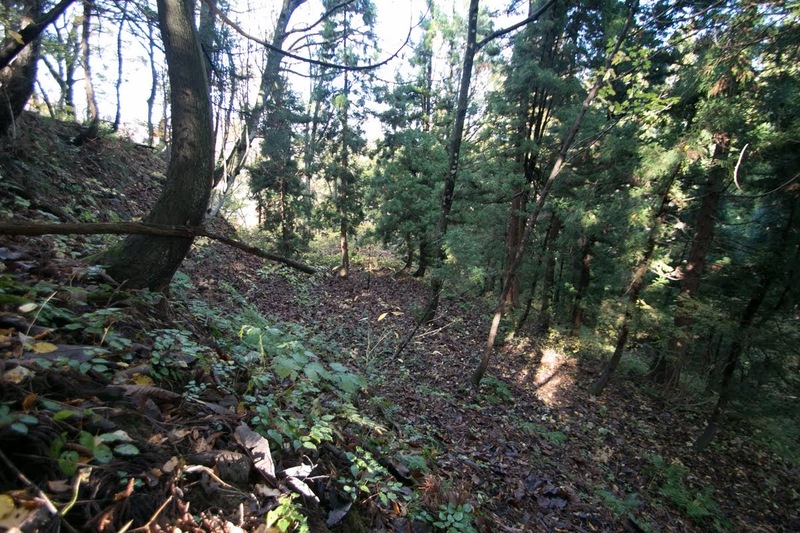 Oda army strengthened the attack to Uesugi clan from Ecchu province and captured Shinano province, and Uozu castle (Toyama prefecture) was lost with its generals. However, just at the same time Nobunaga died in the incident of Honnoji, a coup d’?tat by his general Mitsuhide Akechi (1521-1582). 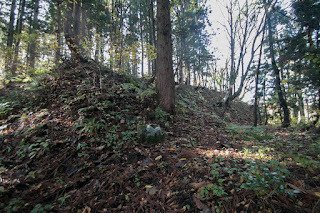 Uesugi clan barely survived from desperate situation agreed with next ruler Hideyoshi Toyotomi (1537-1598) and survived as feudal lord. 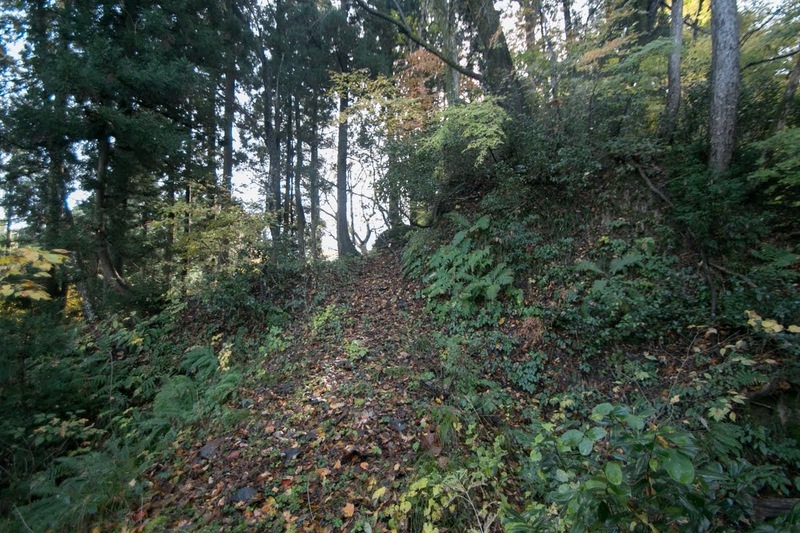 Nechi castle was held by Uesugi clan until its transfer to Aizu Wakamatsu area in 1598, and handed to Hori clan which became next lord of Echigo province. 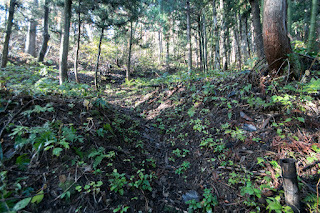 Hori clan placed their relative to Nechi castle but abolished it after the battle of Sekigahara occurred in 1600. 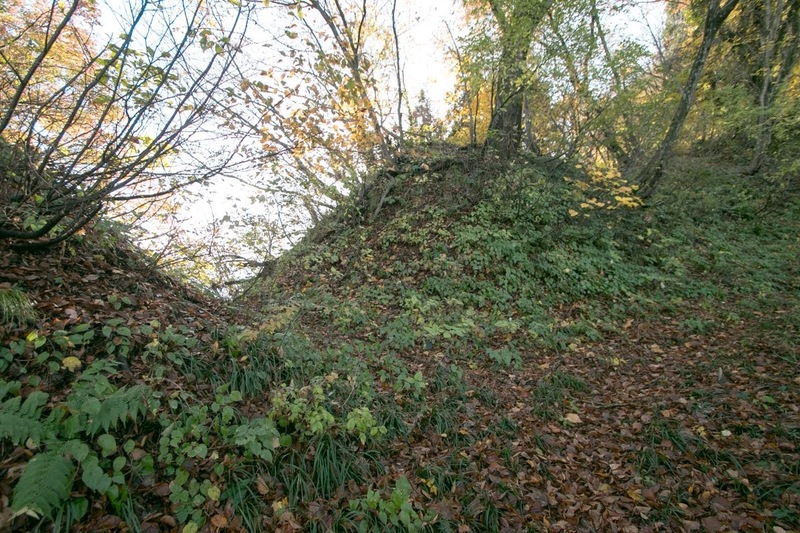 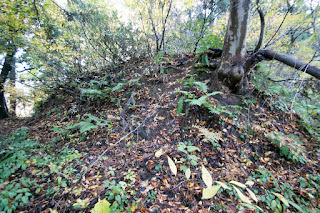 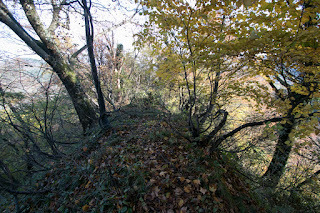 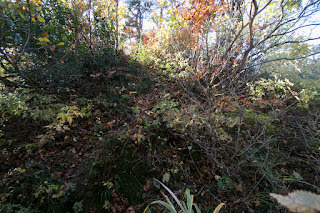 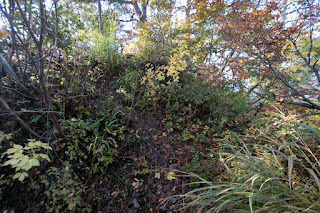 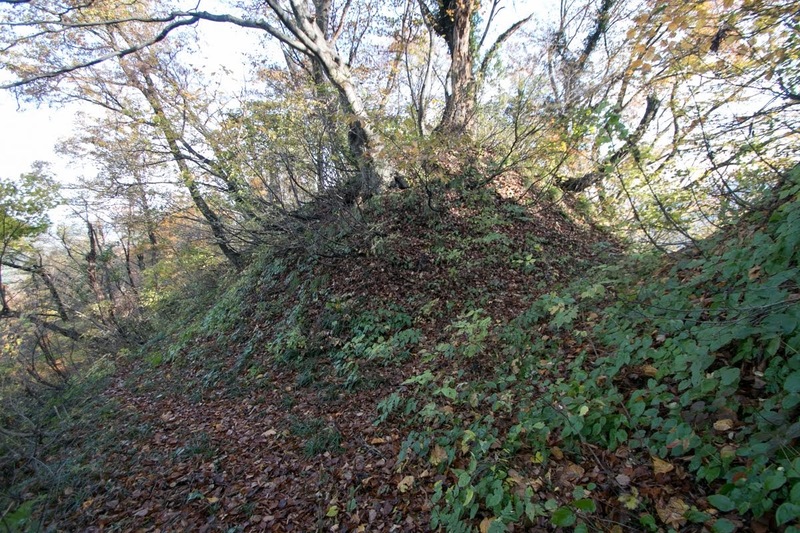 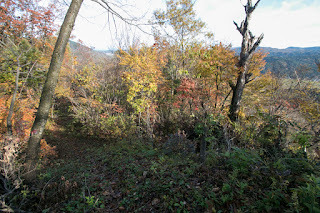 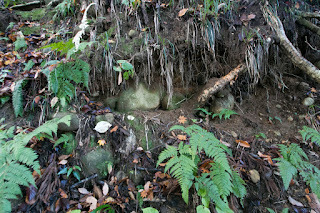 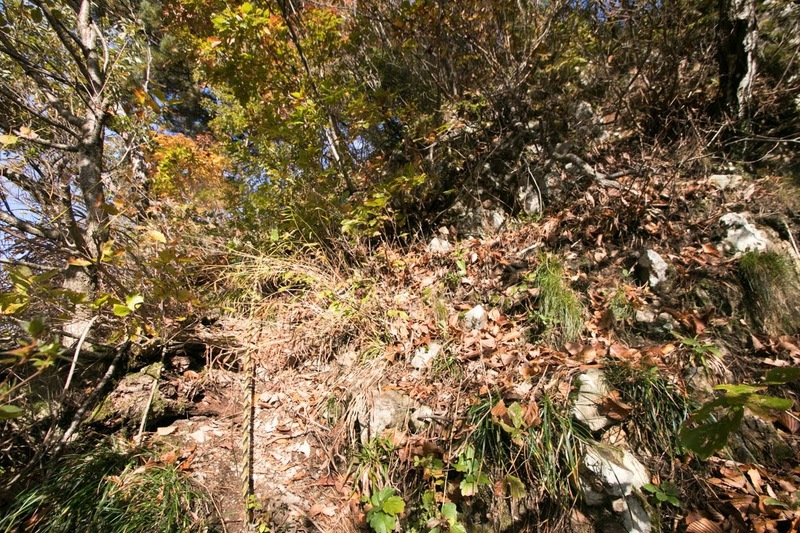 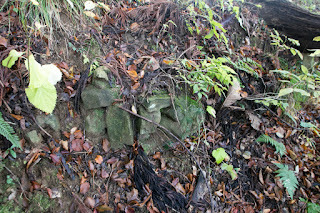 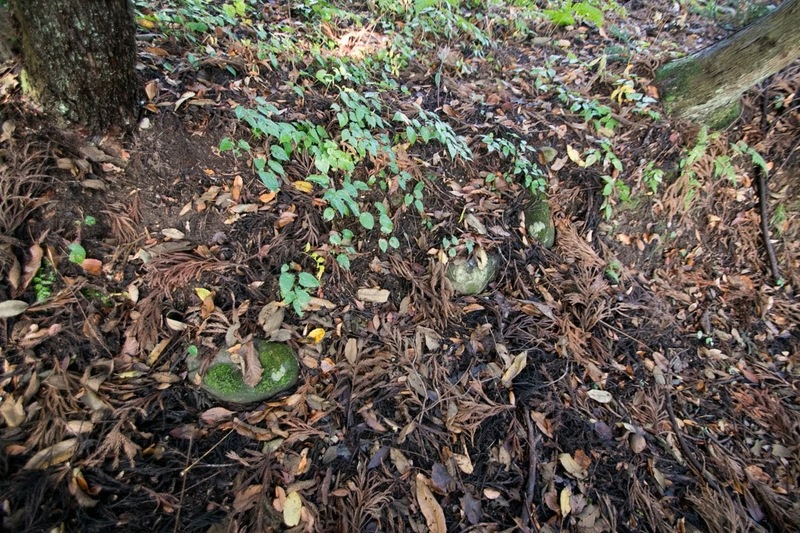 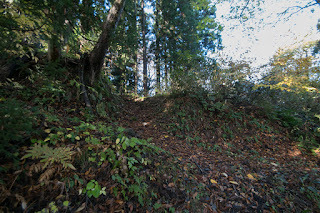 Now no building exist but structure of the castle well remain over the mountain. 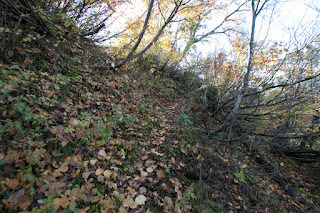 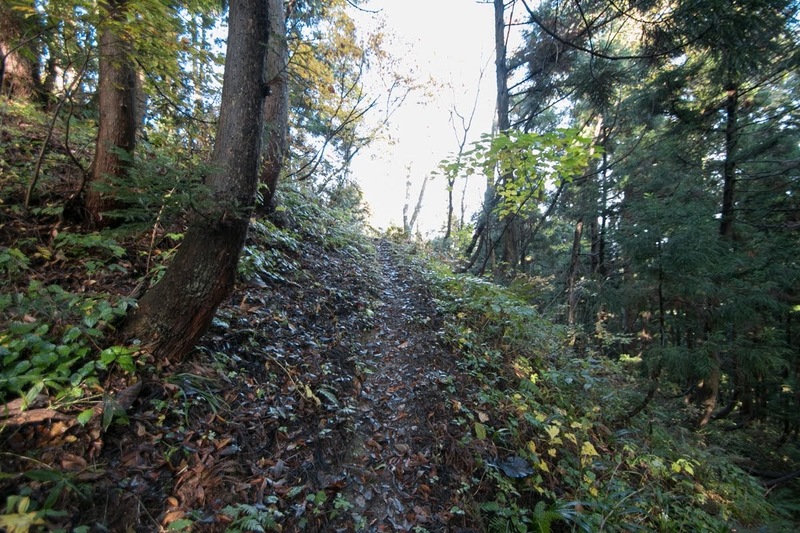 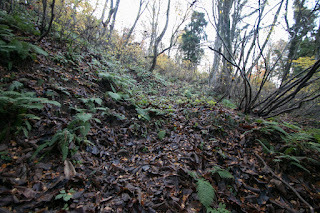 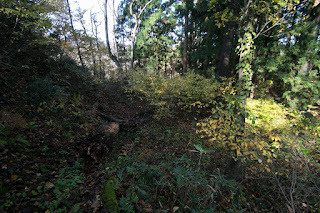 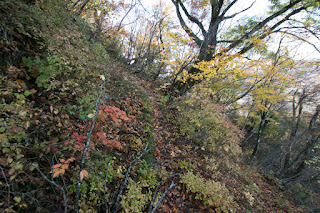 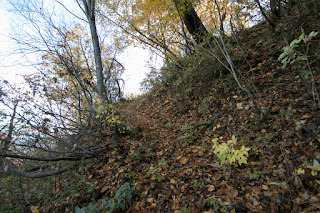 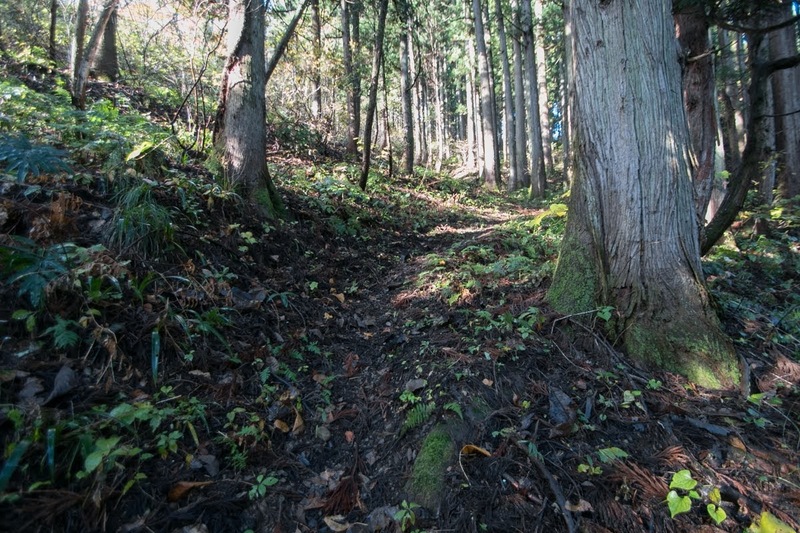 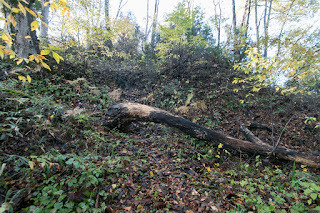 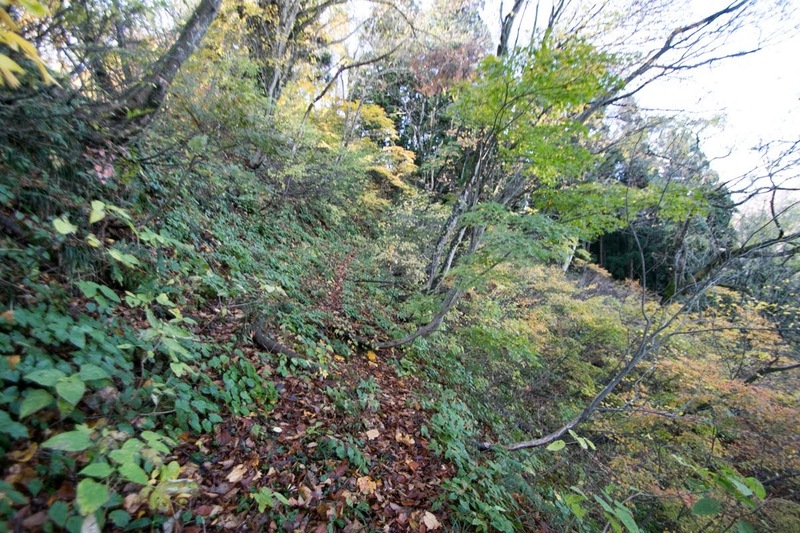 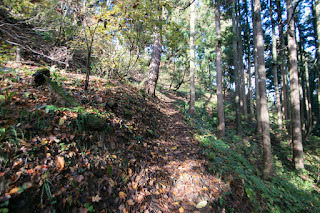 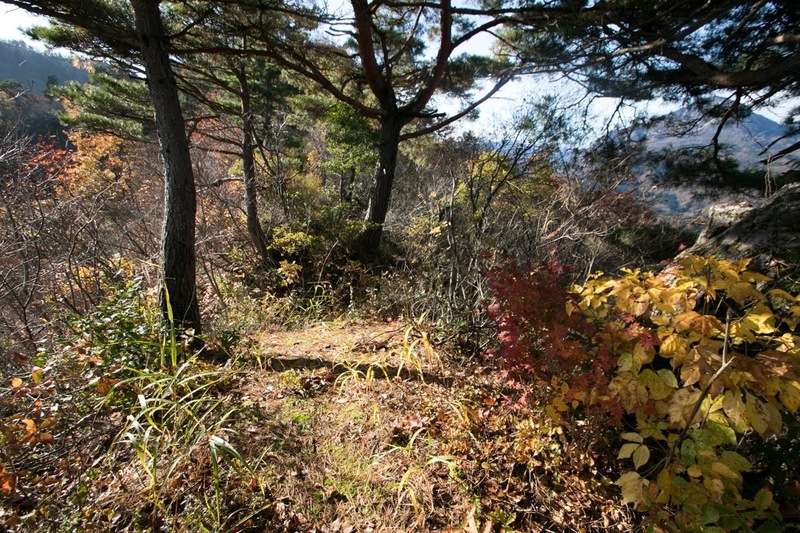 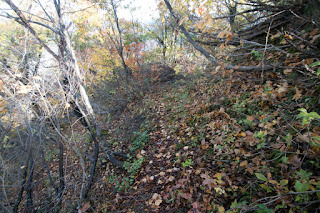 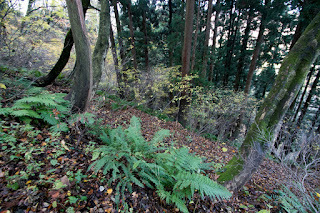 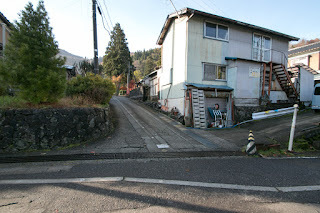 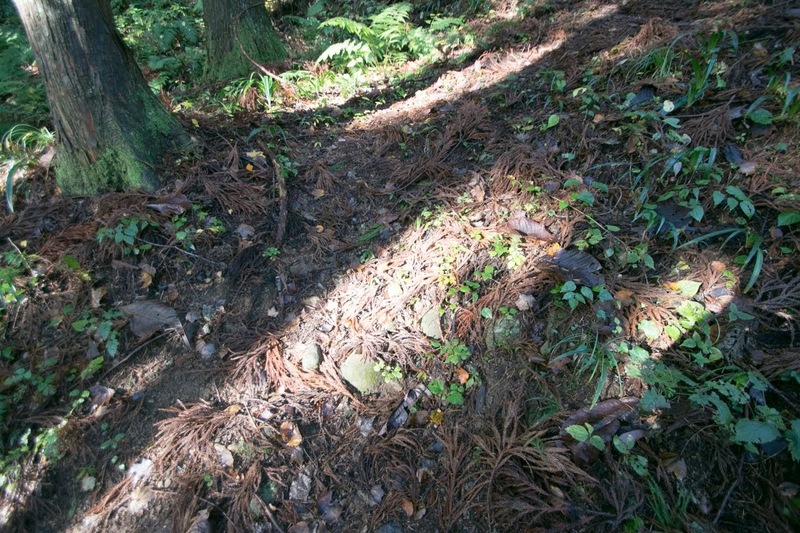 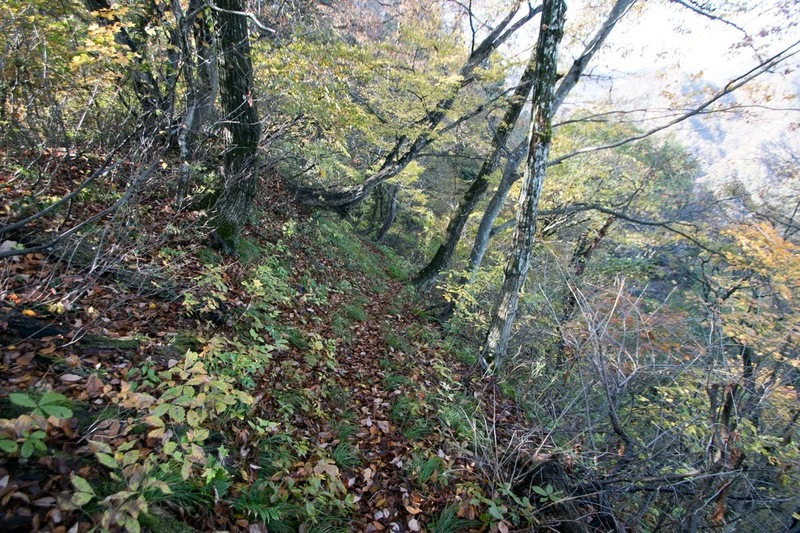 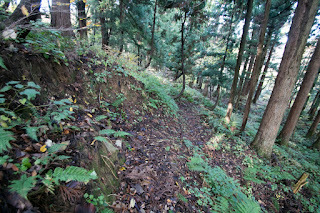 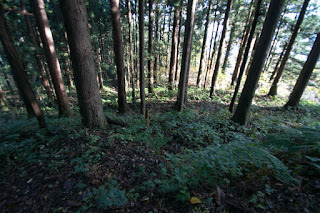 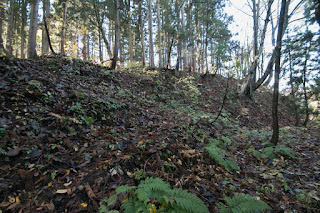 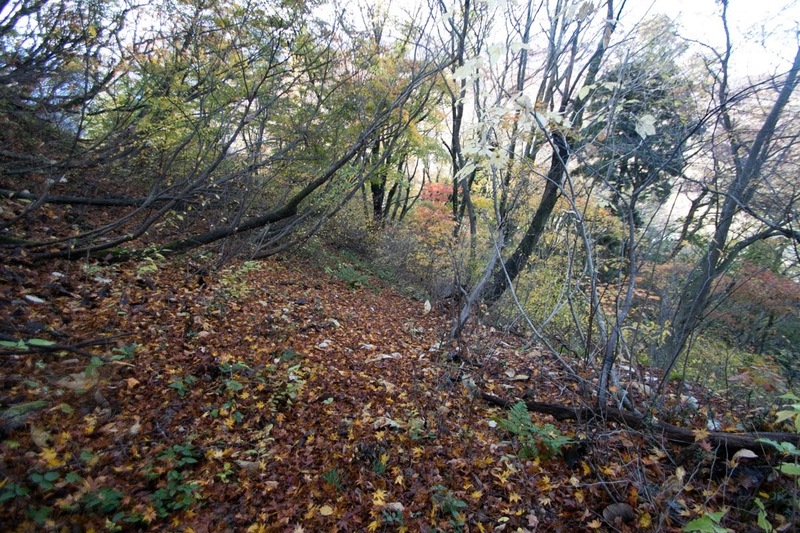 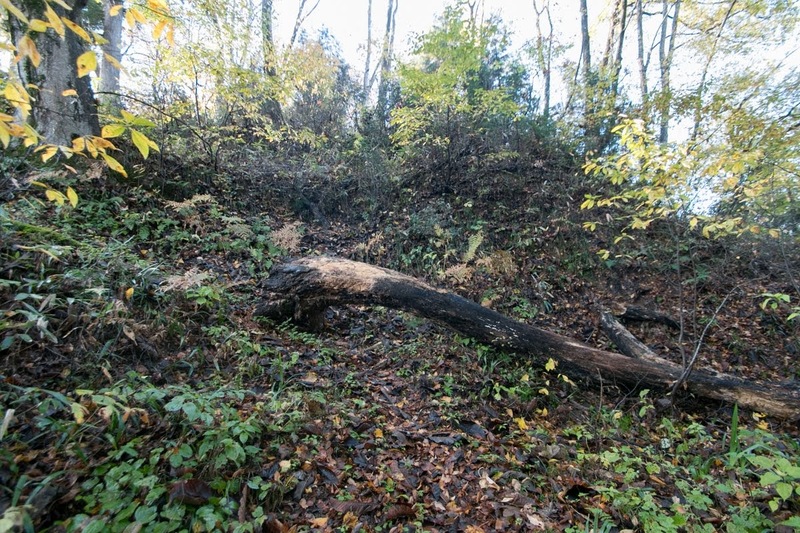 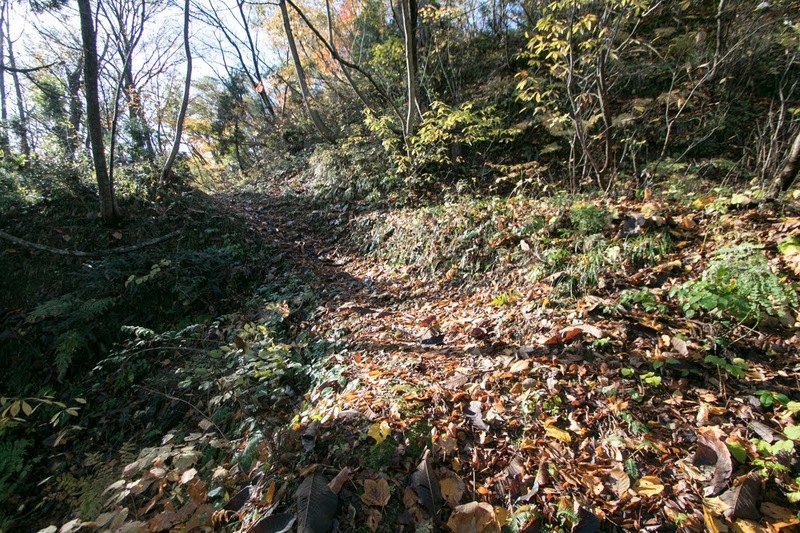 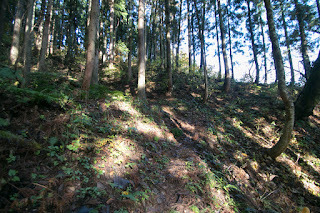 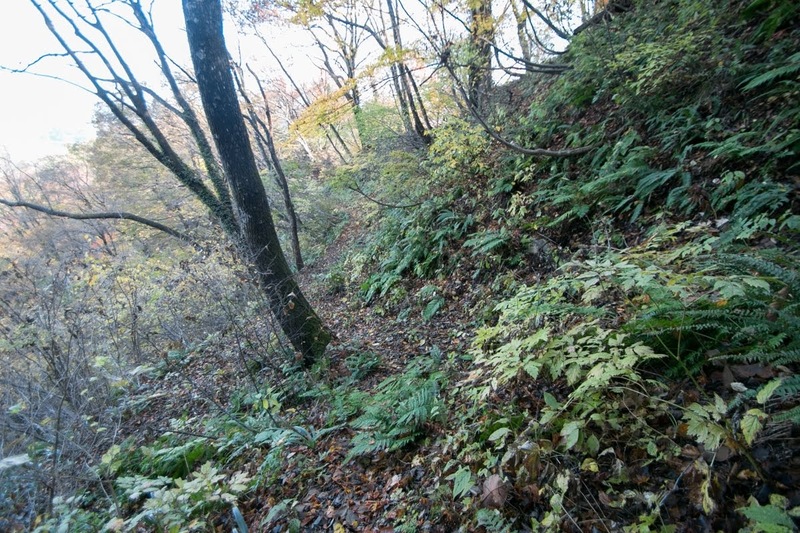 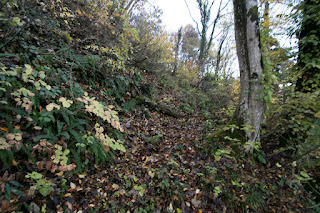 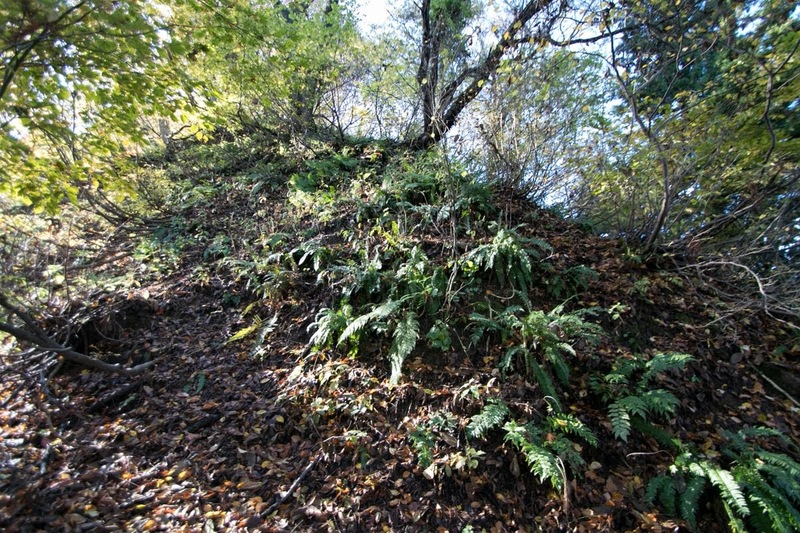 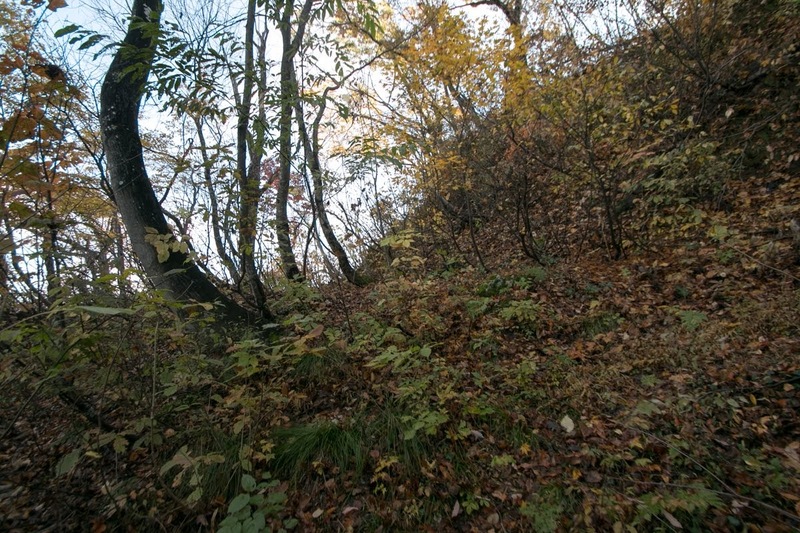 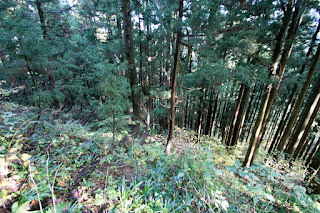 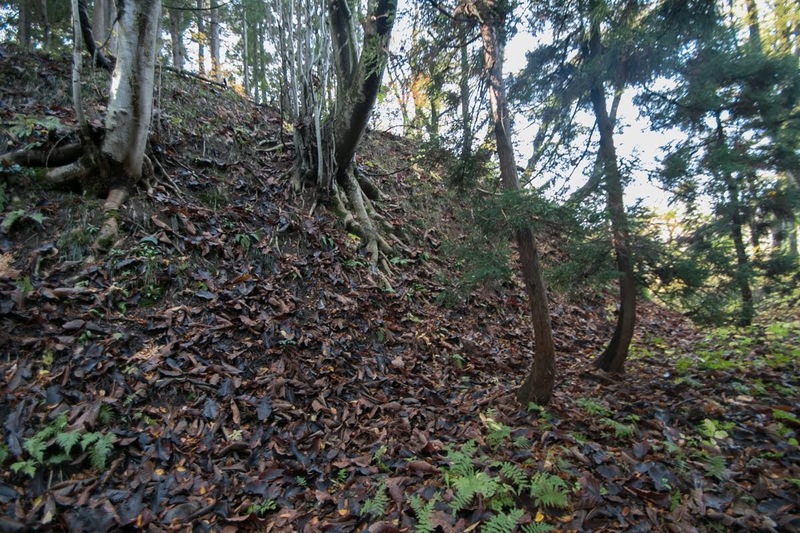 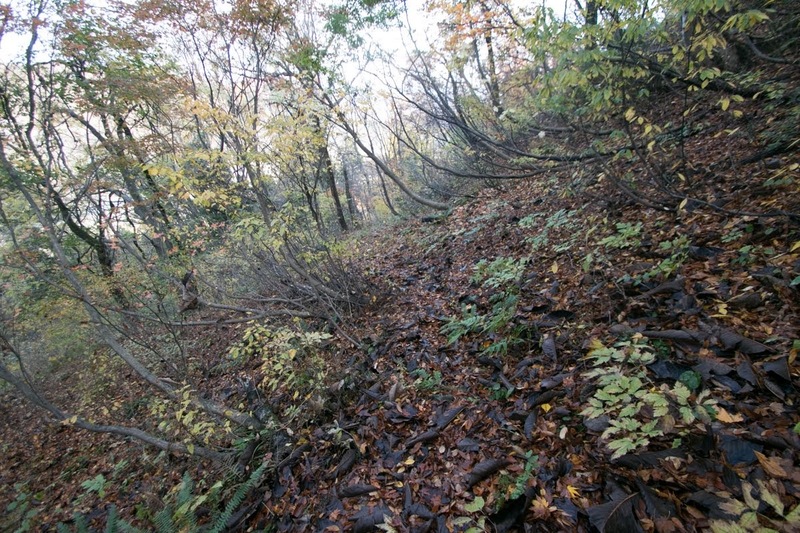 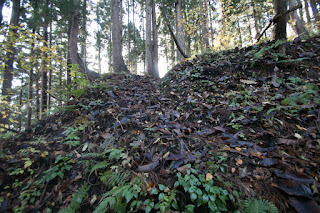 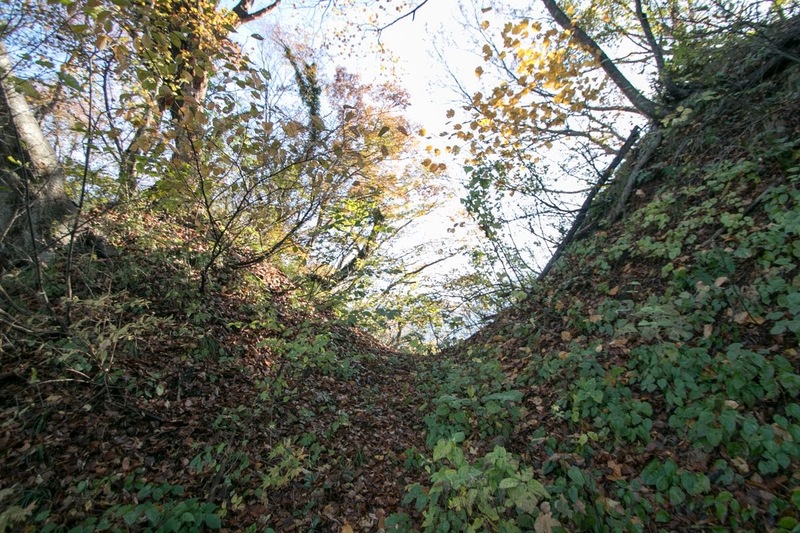 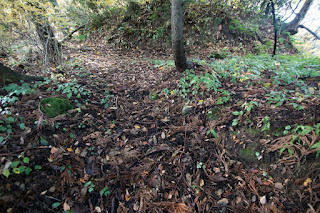 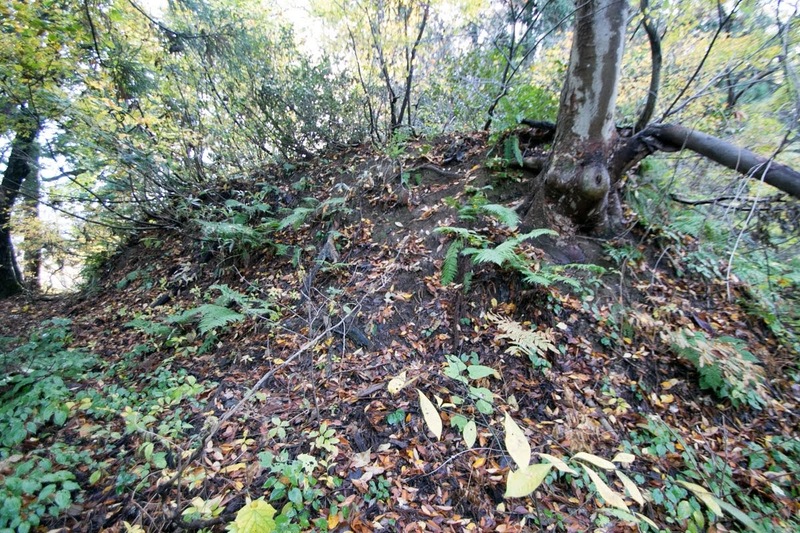 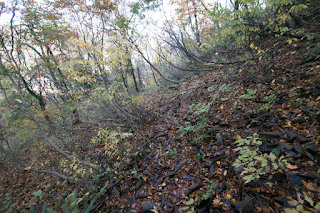 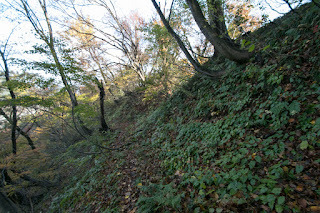 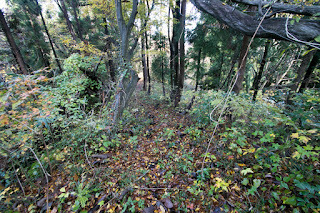 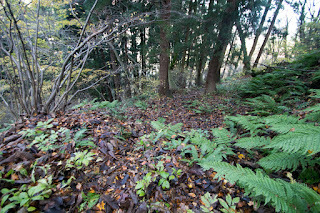 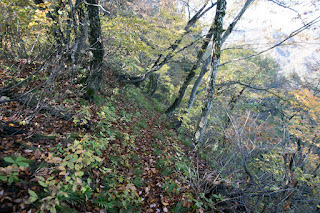 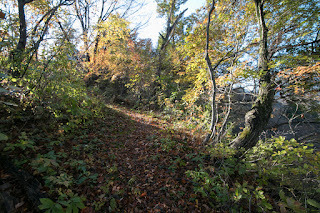 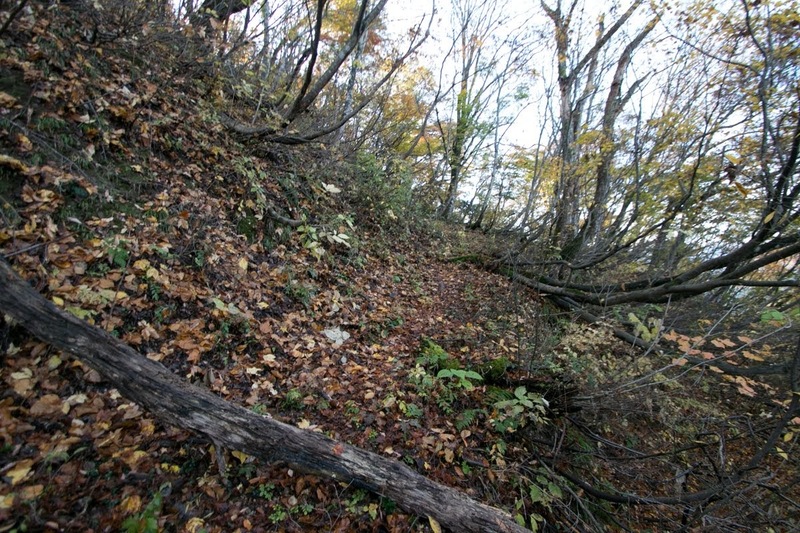 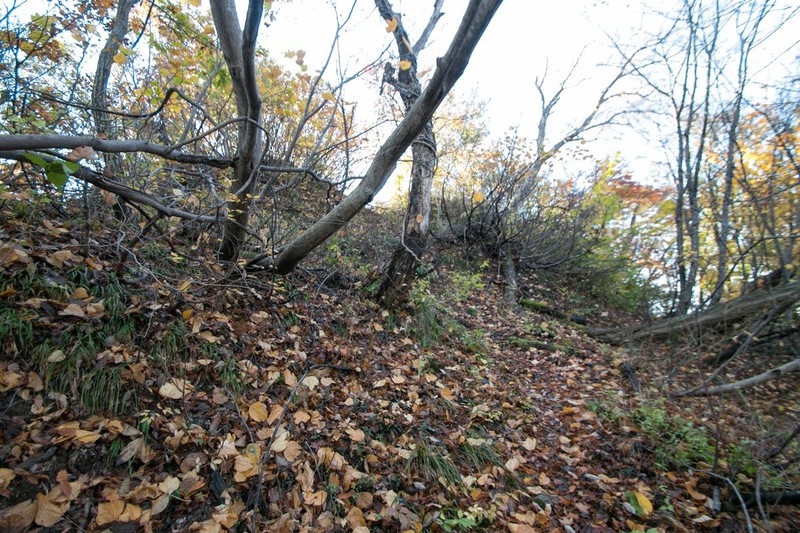 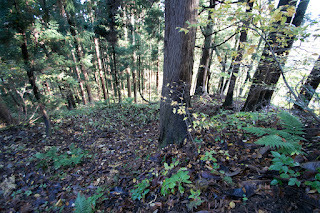 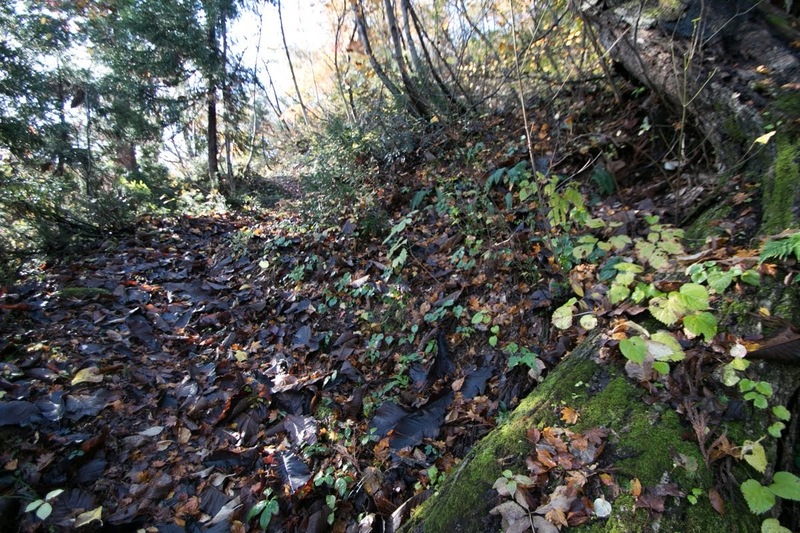 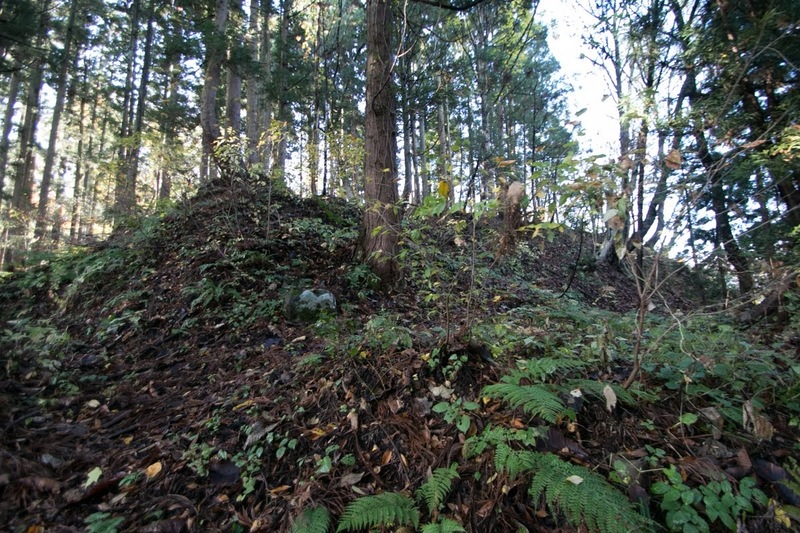 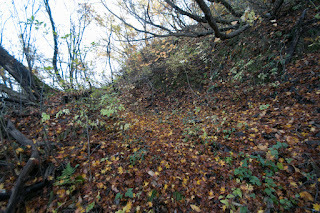 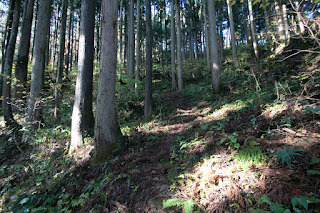 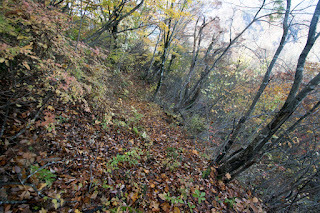 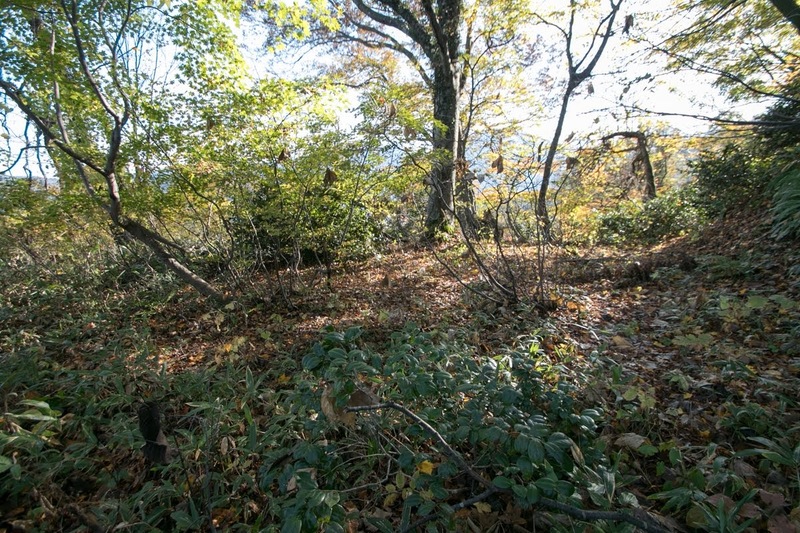 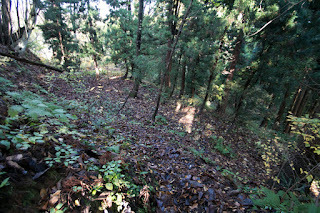 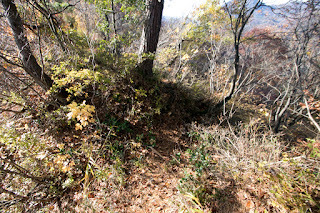 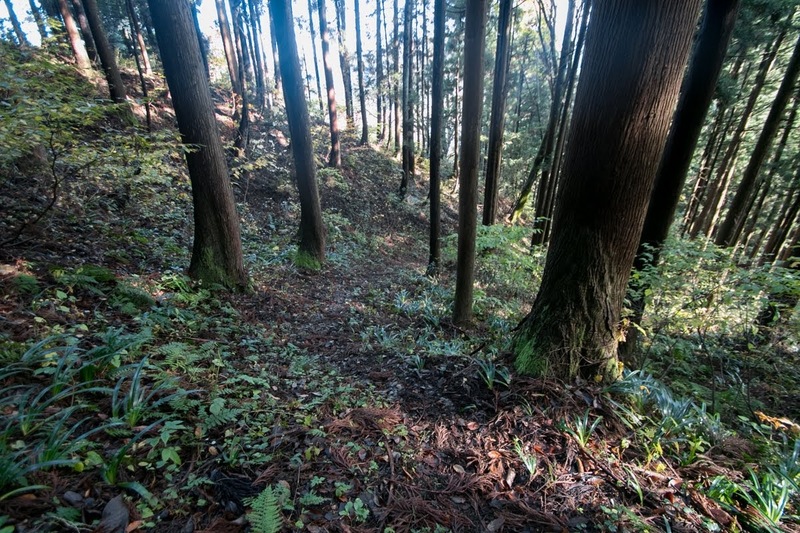 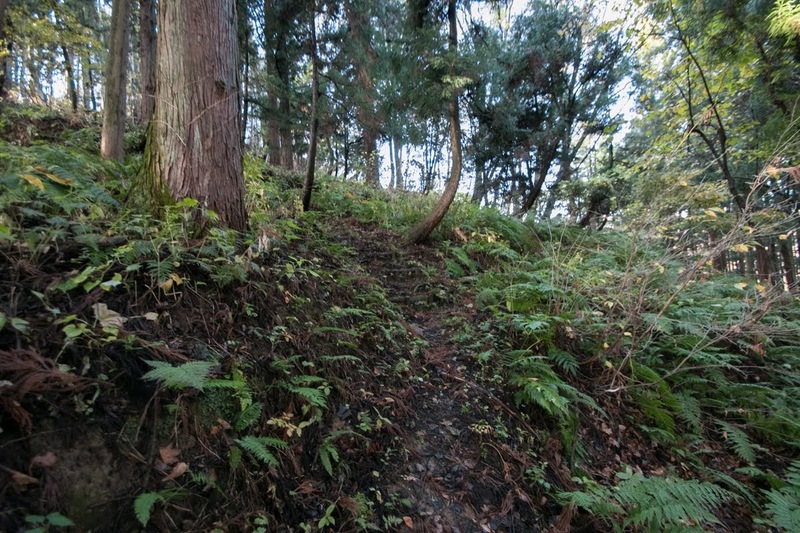 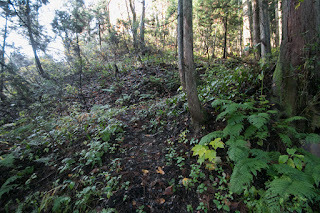 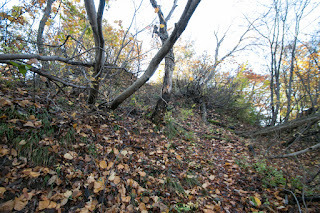 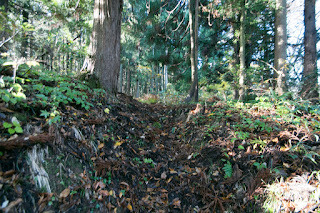 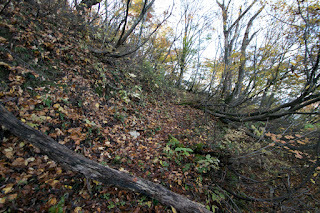 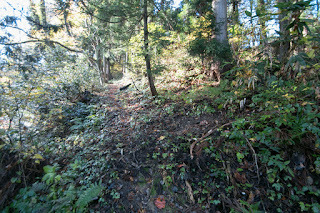 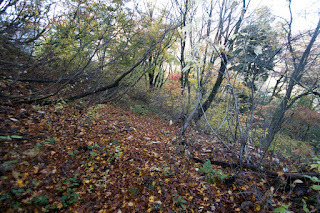 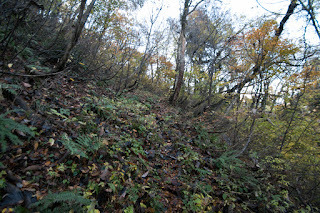 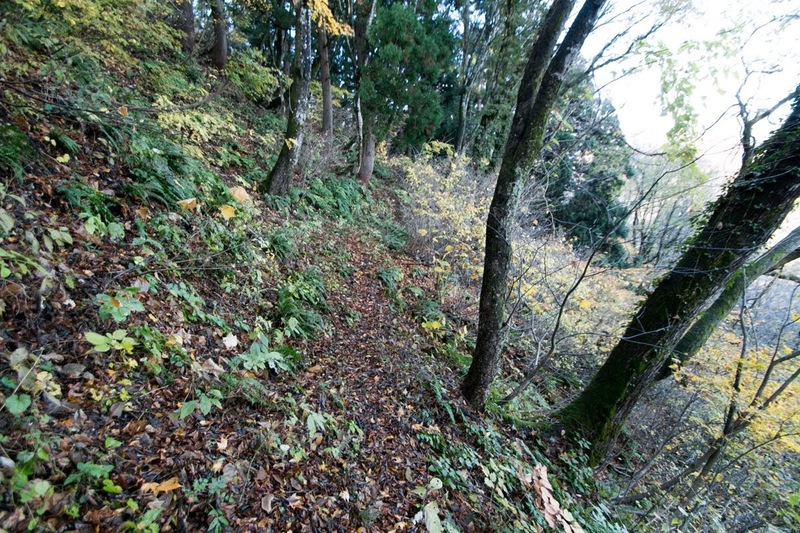 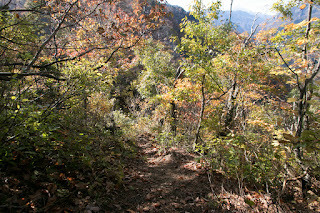 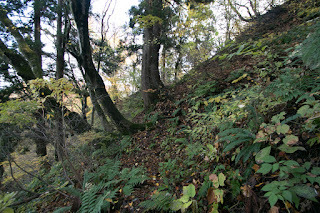 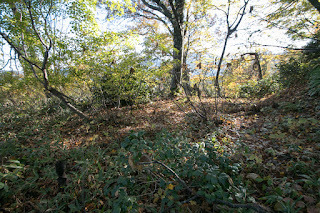 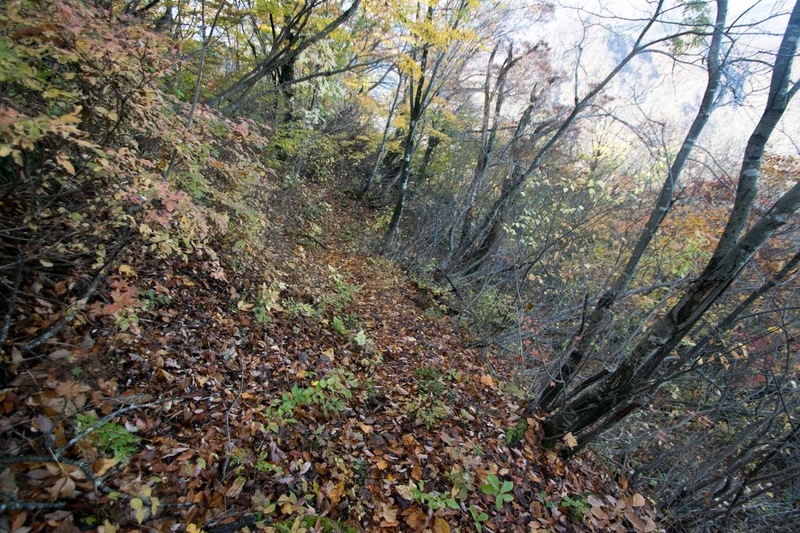 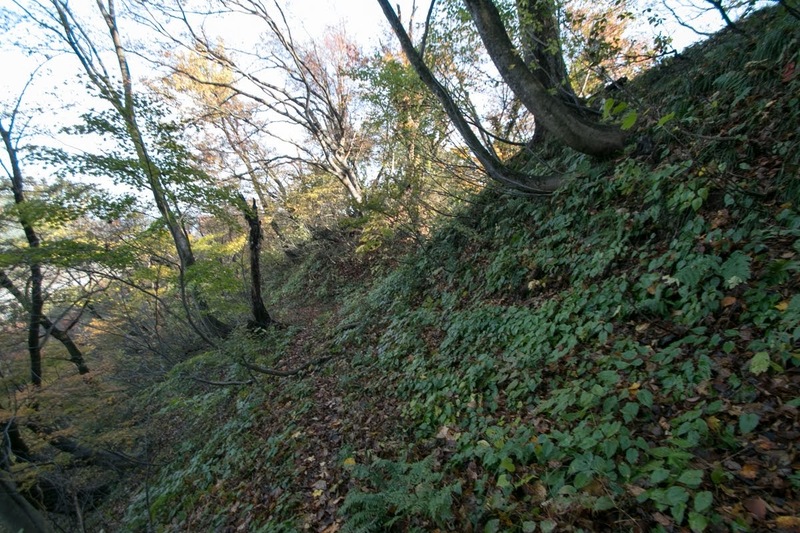 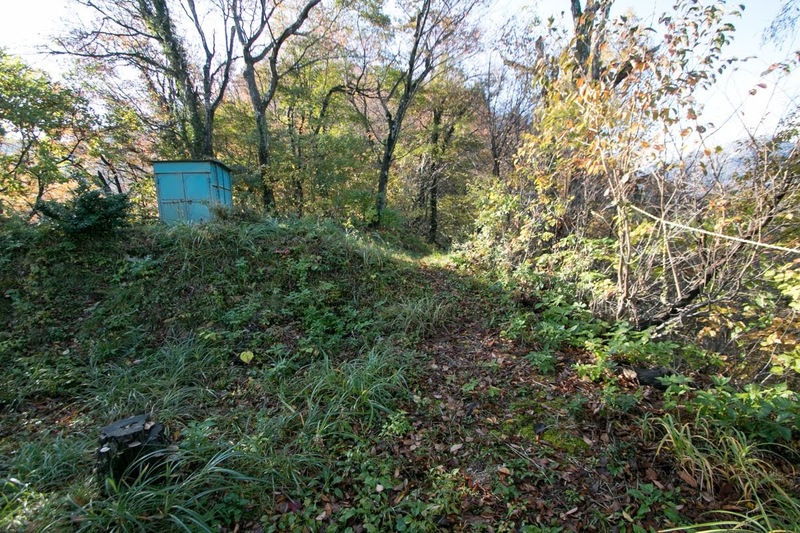 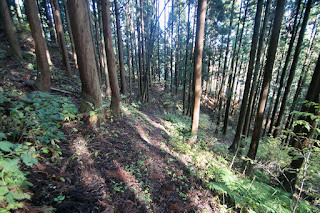 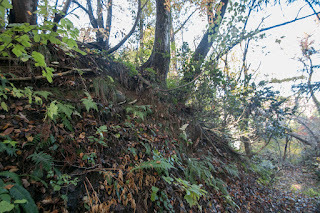 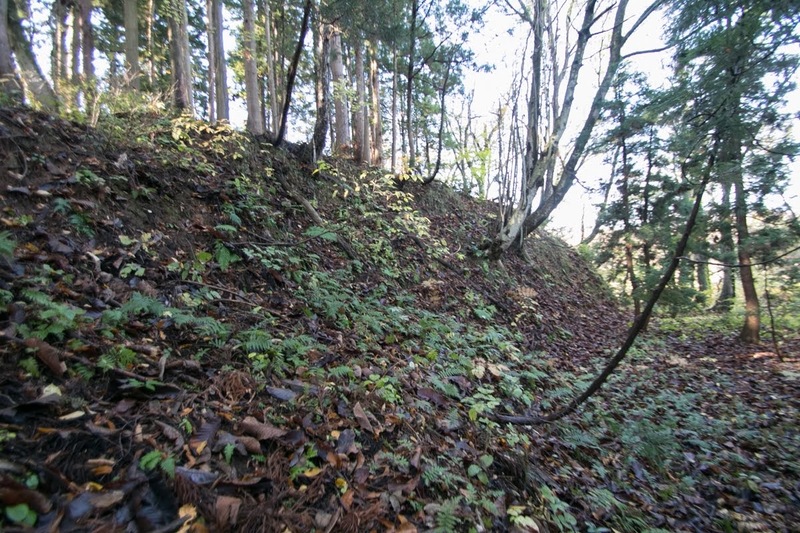 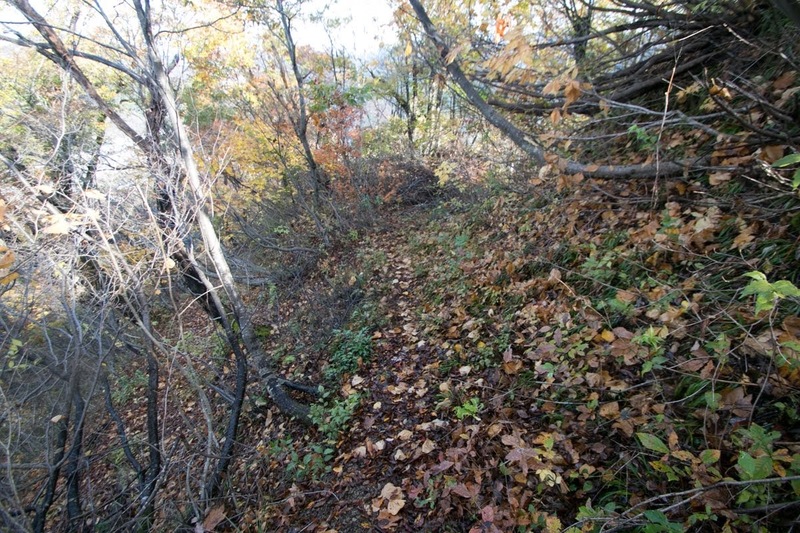 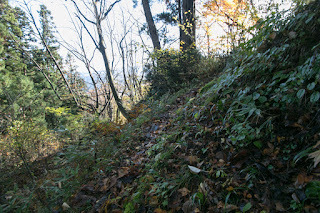 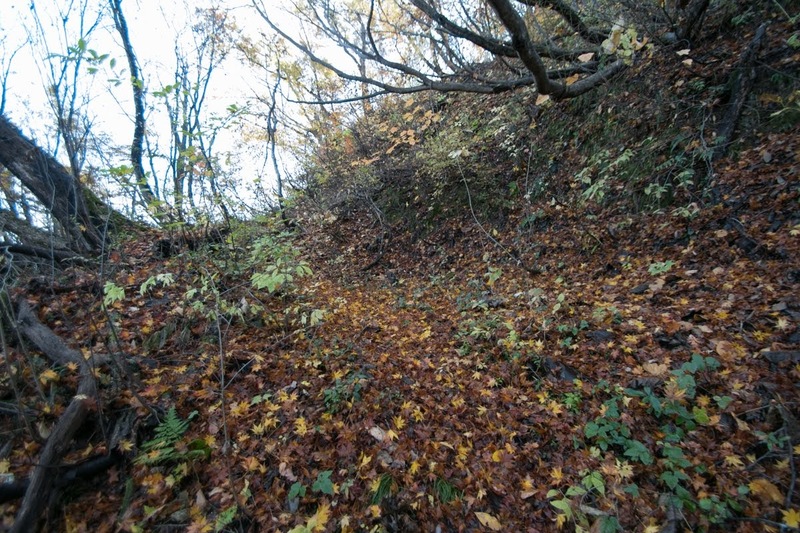 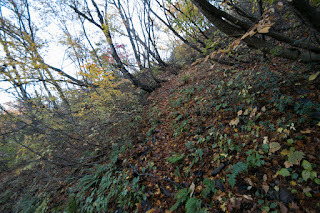 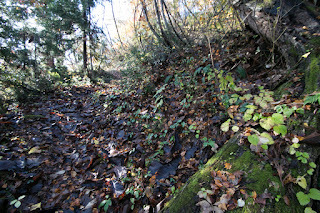 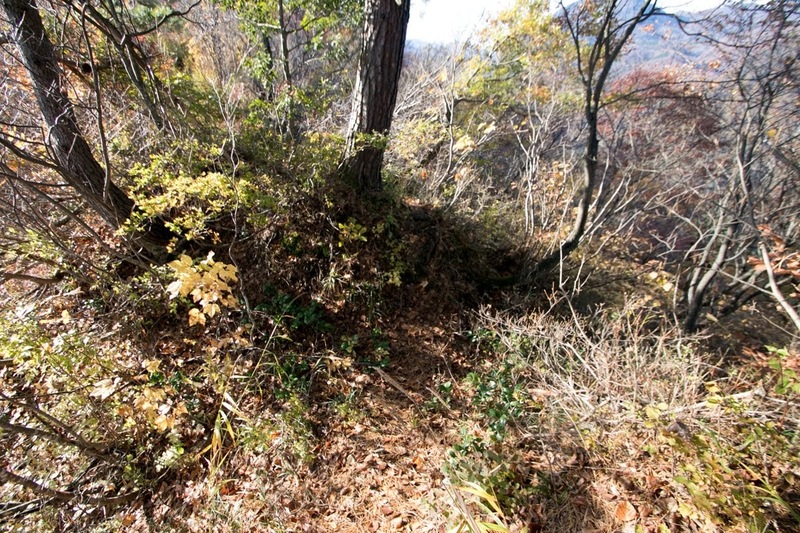 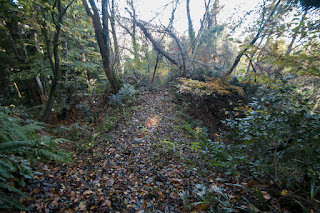 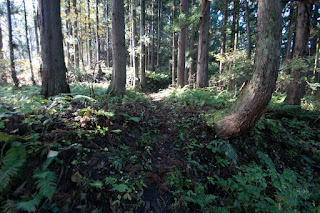 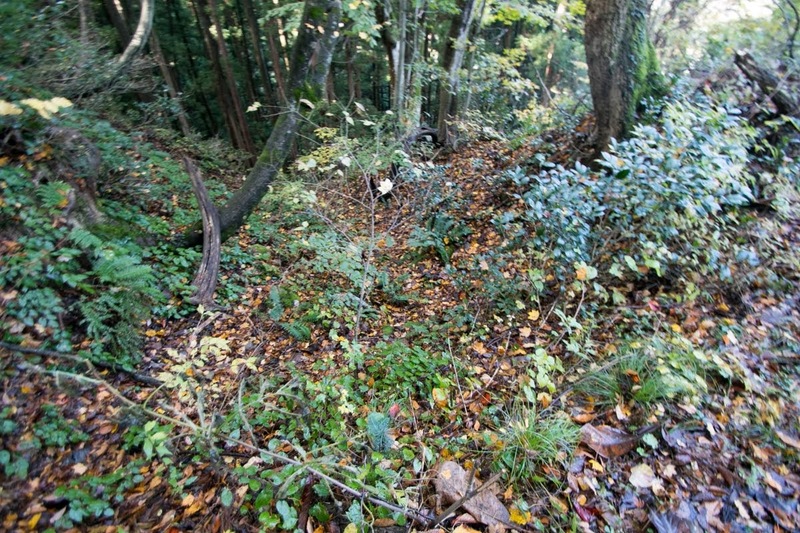 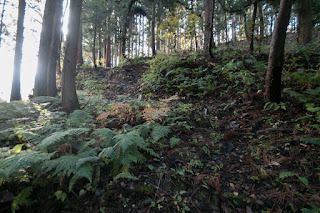 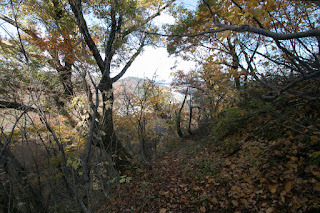 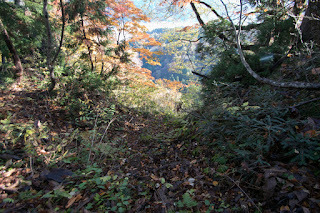 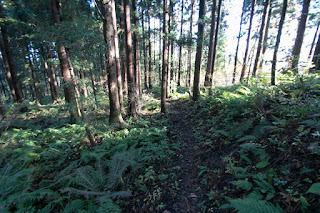 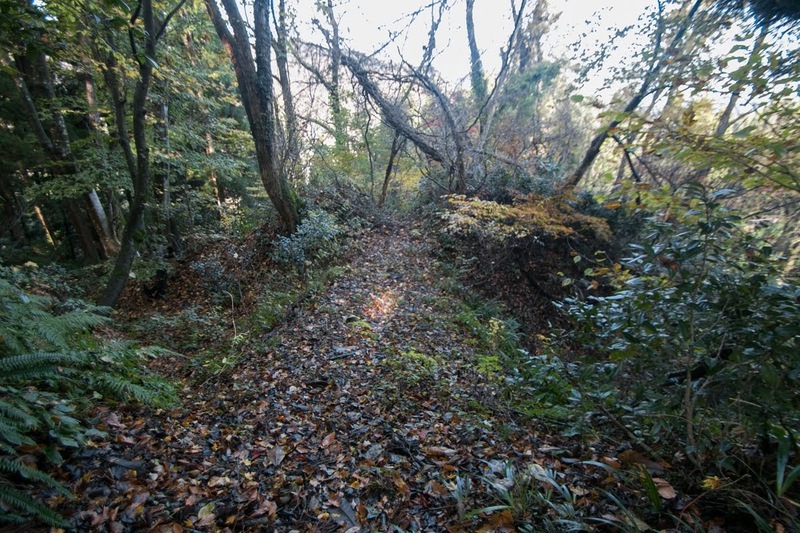 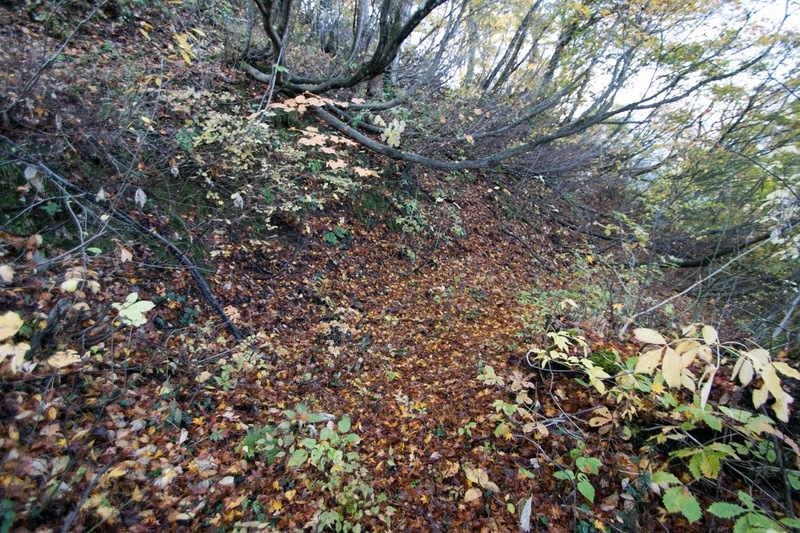 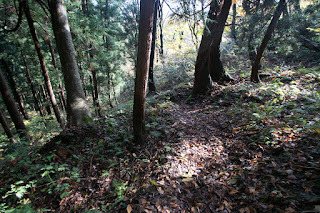 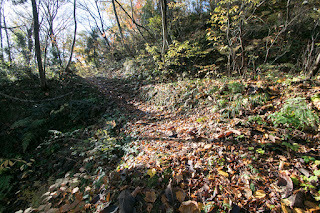 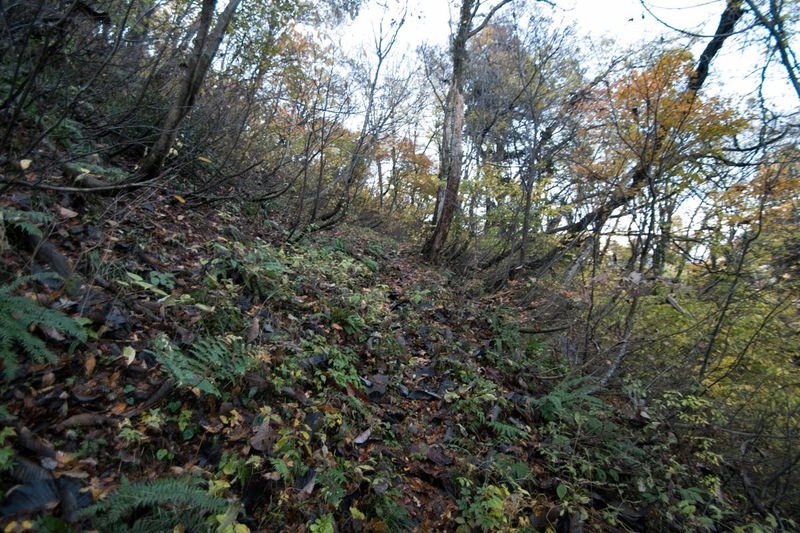 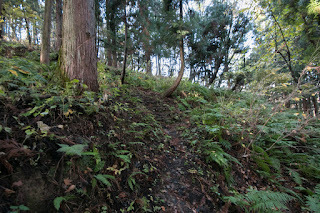 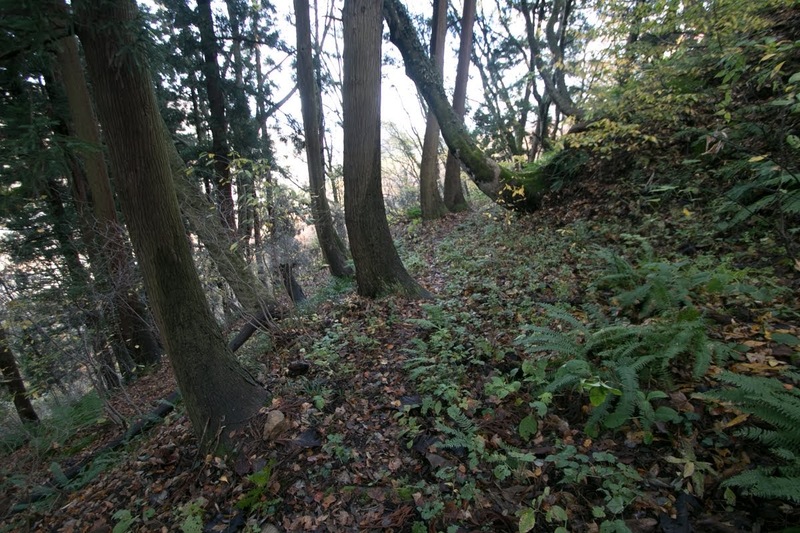 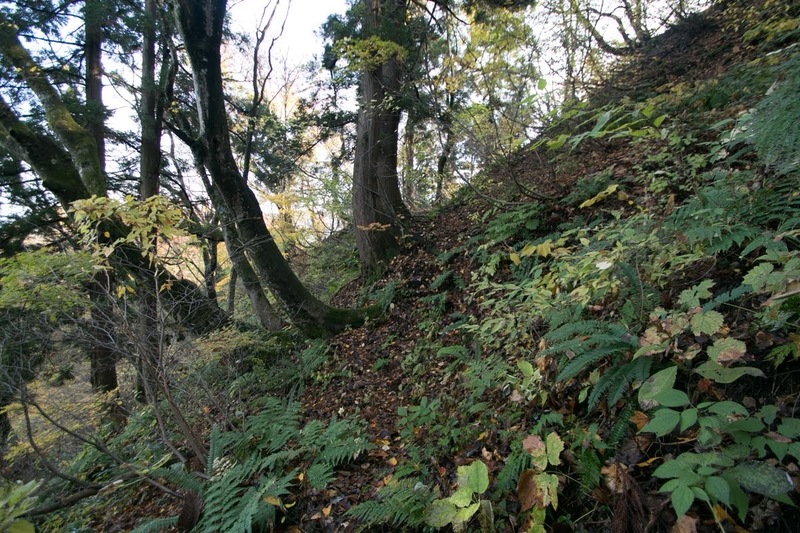 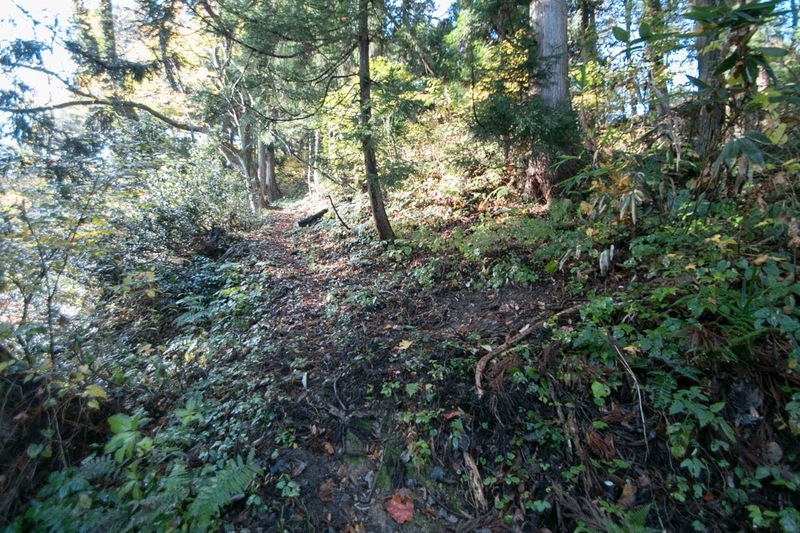 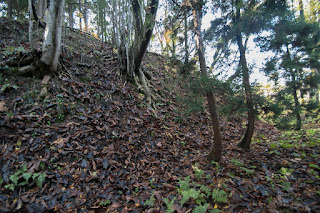 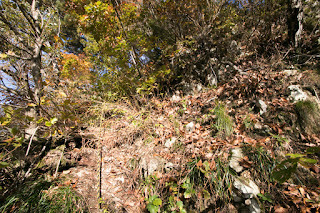 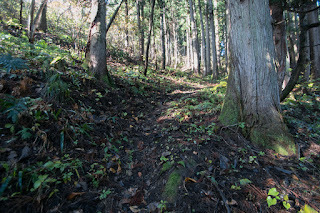 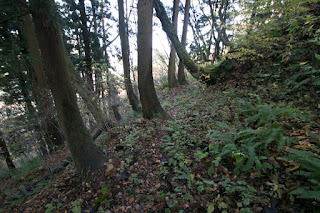 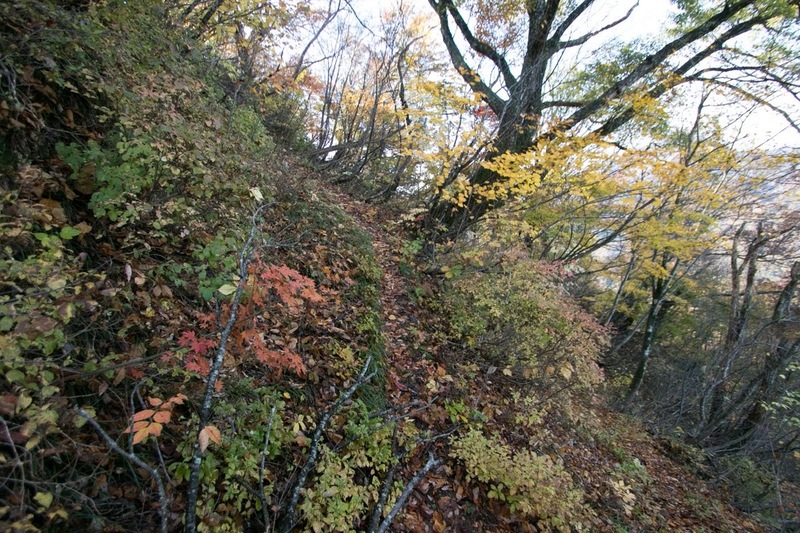 But because of the easy to landslide ground, climbing road of the castle gradually disappears. 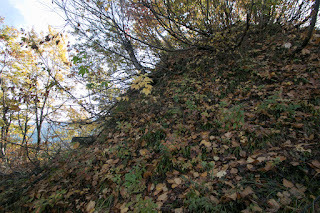 Huge castle unbecoming to small valley shows the tension at the border and importance of salt trade at this area. 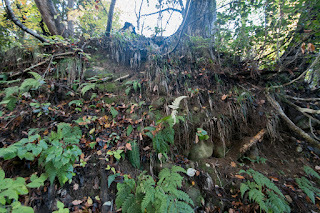 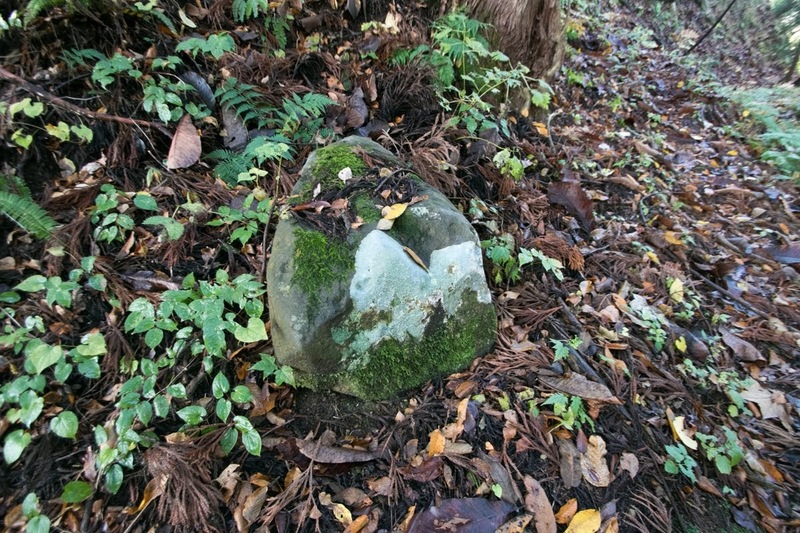 Salt trade at Chikuni Kaido road also ceased but ruins of the road and related items still remain here and there of the road, and kept atmosphere of the era of the proverb “giving salt to enemy”. 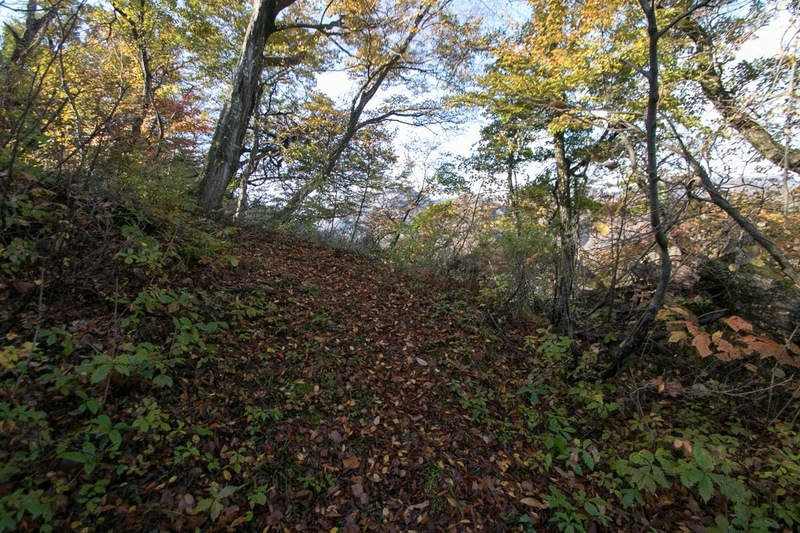 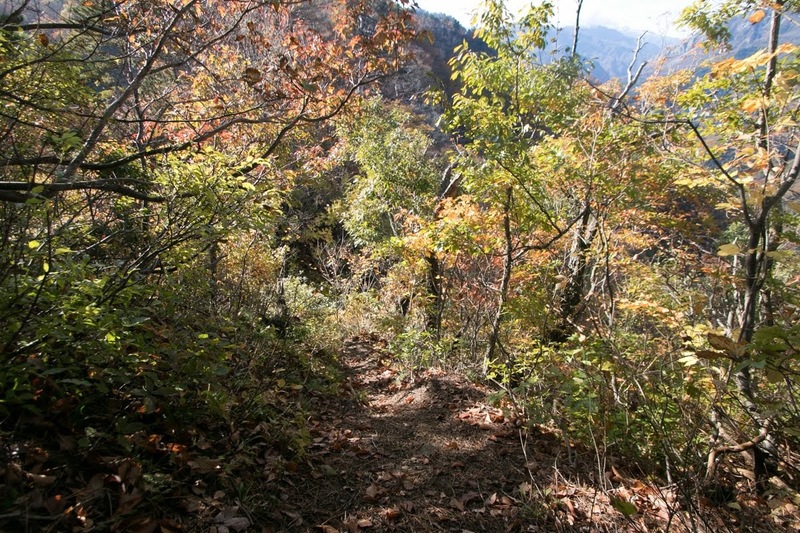 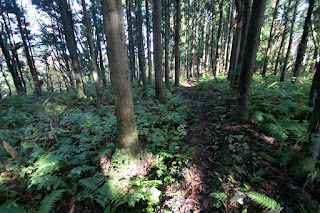 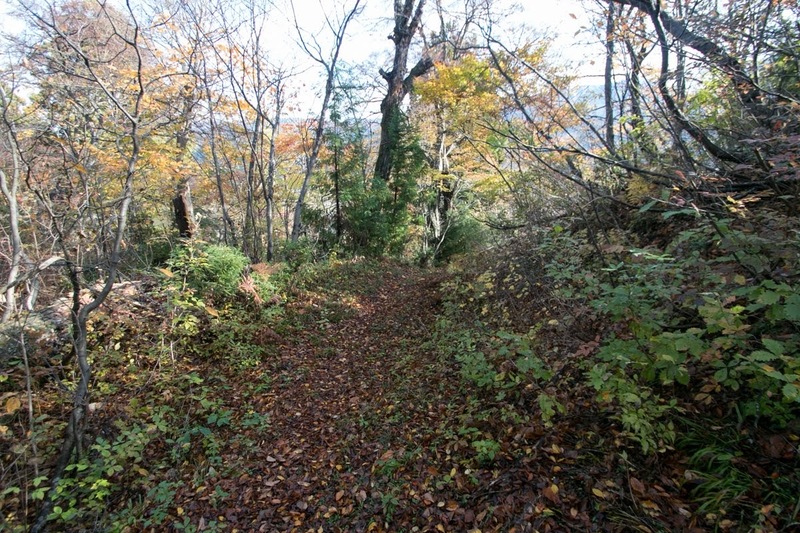 In addition to skiing at Hakuba area in winter, walking of old road becomes popular in summer season. 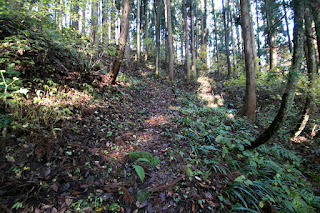 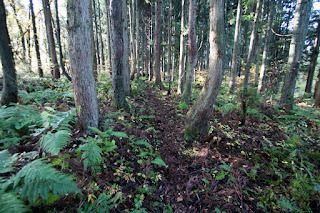 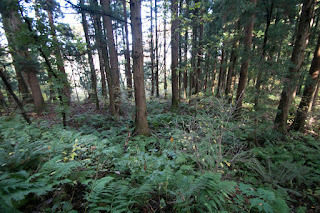 15 minutes walk from JR West Oito-sen line Nechi station to the entrance of climbing road ahed of Shorenji temple. 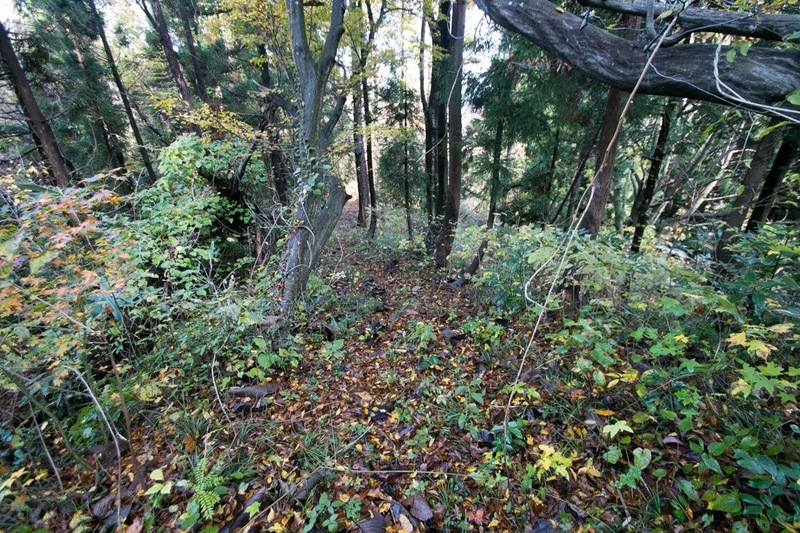 20 minutes drive from Hokuriku Jidoshado Expressway Itoigawa interchange. 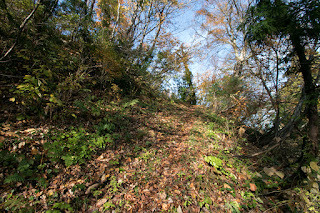 60 minutes walk from entrance to hilltop castle but climbing road is narrow and difficult to trace then not recommended for beginner.